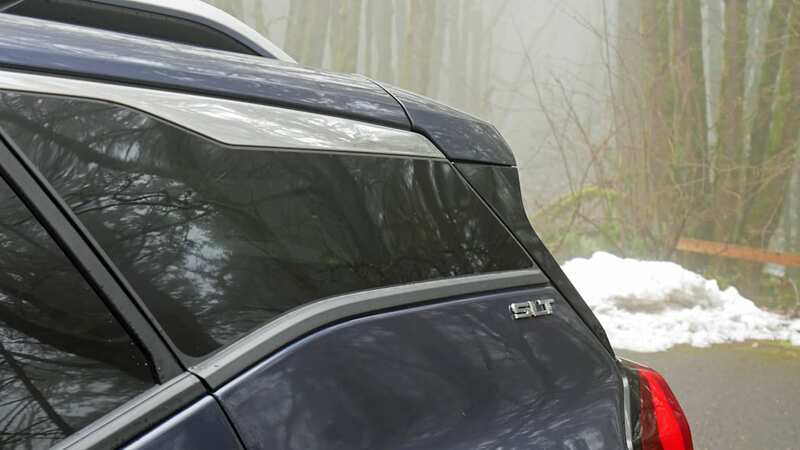 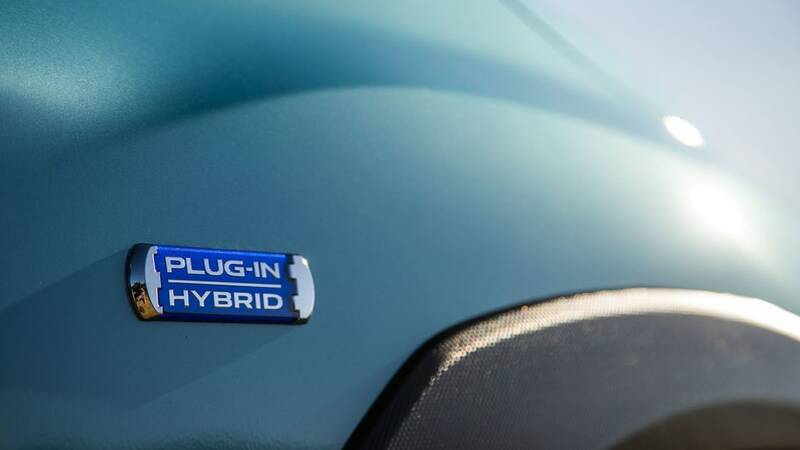 Along with a new generation of Escape, Ford also reintroduced the world to the 2020 Ford Escape Hybrid. 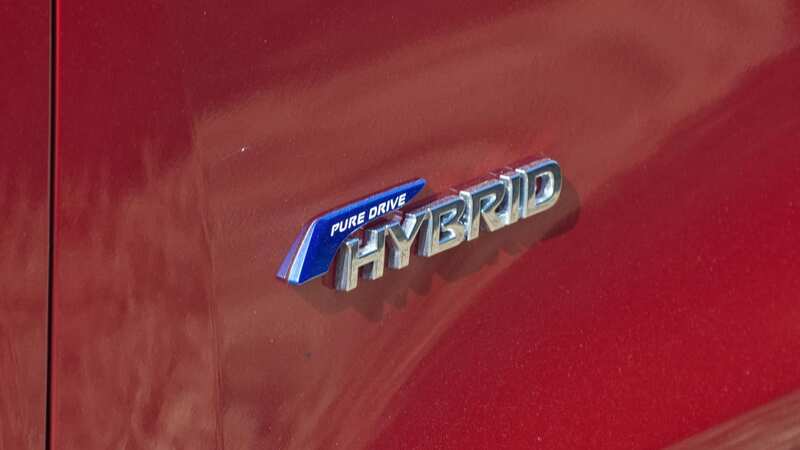 And if that weren't enough, Ford is adding a plug-in hybrid version. 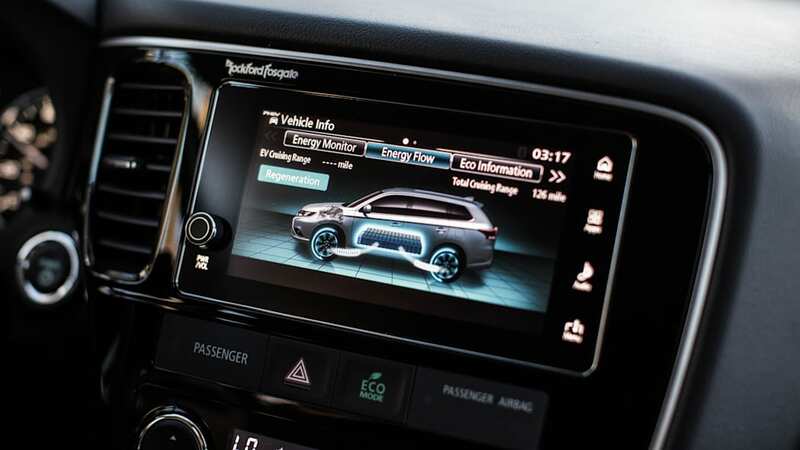 This is a sign of the times: people are more crossover crazy than ever, but are also seeking ways to use less fuel, whether it's for environmental or purely money-motivated reasons. 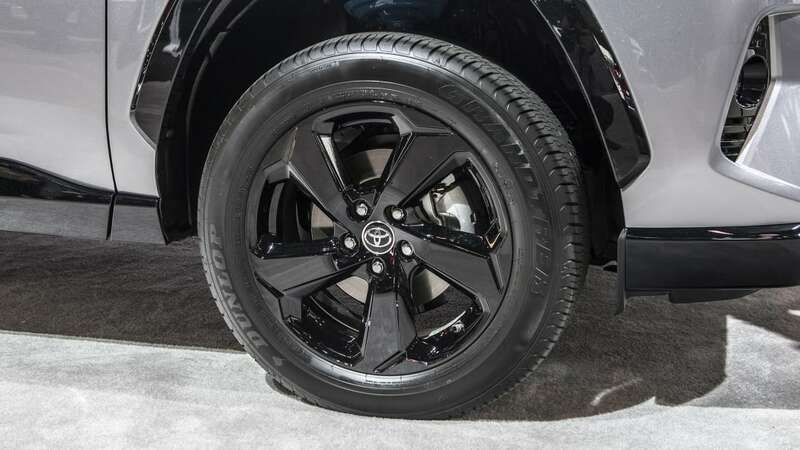 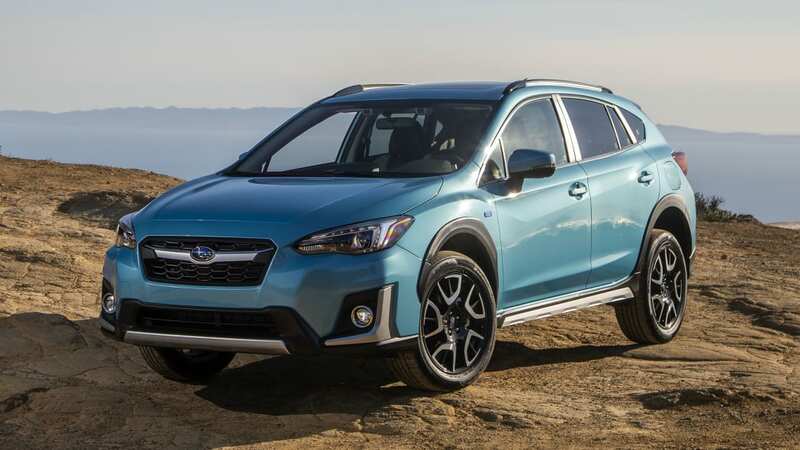 The Ford hybrids aren't the only fuel-efficient compact crossovers on the market. 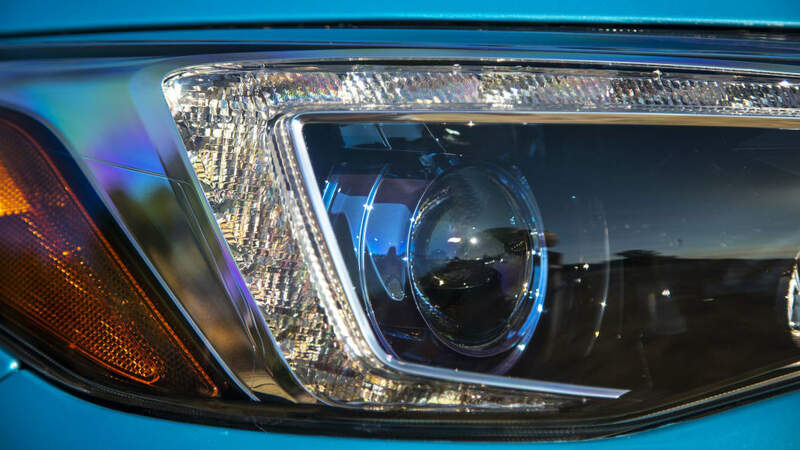 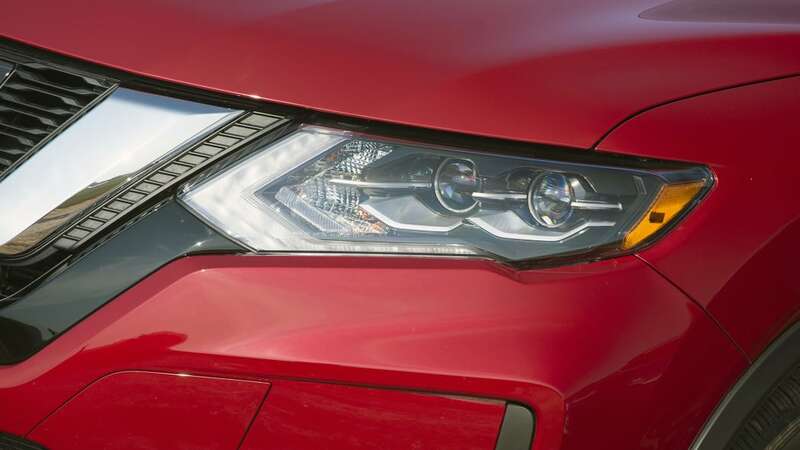 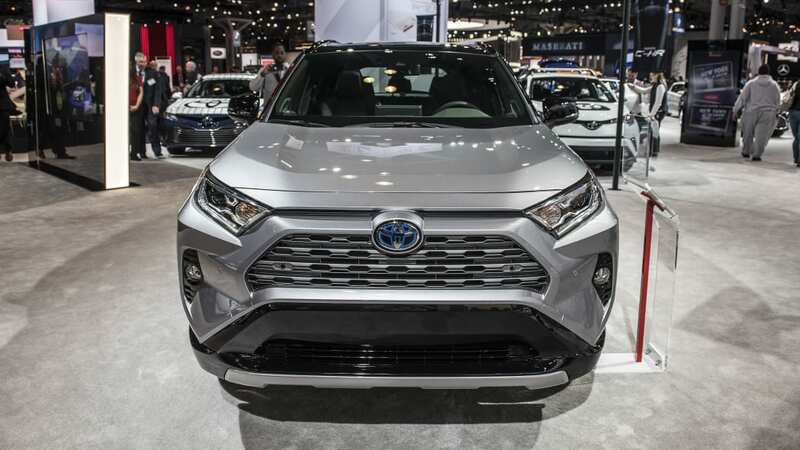 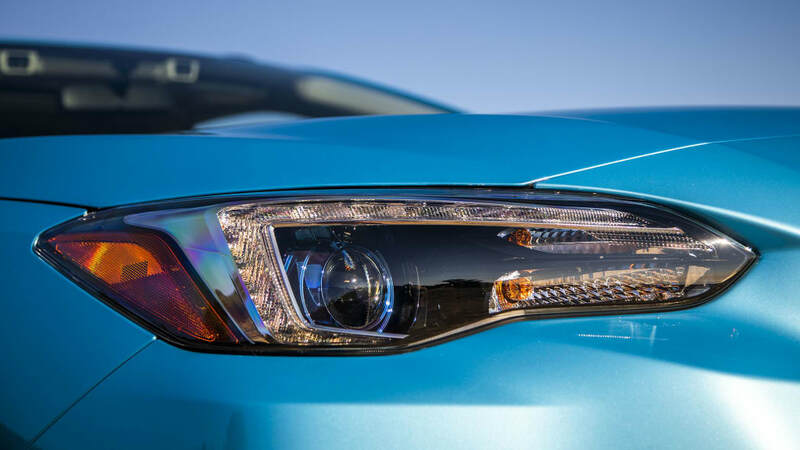 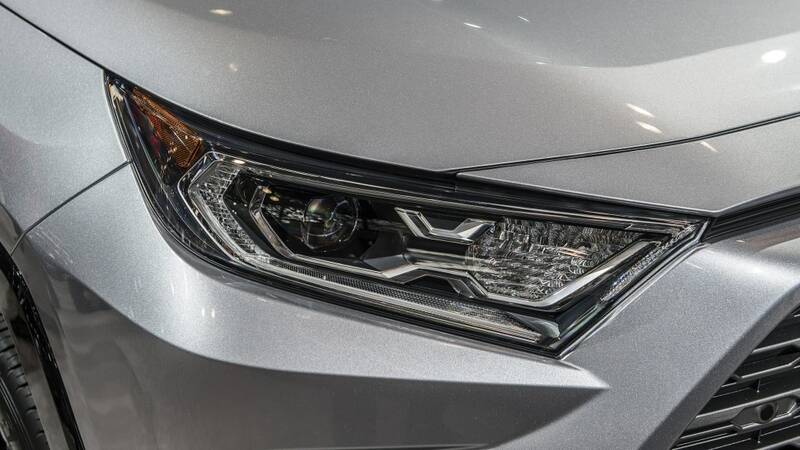 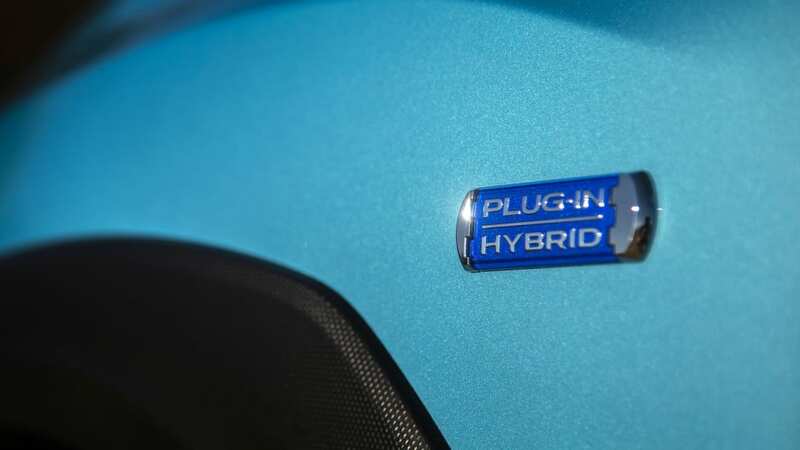 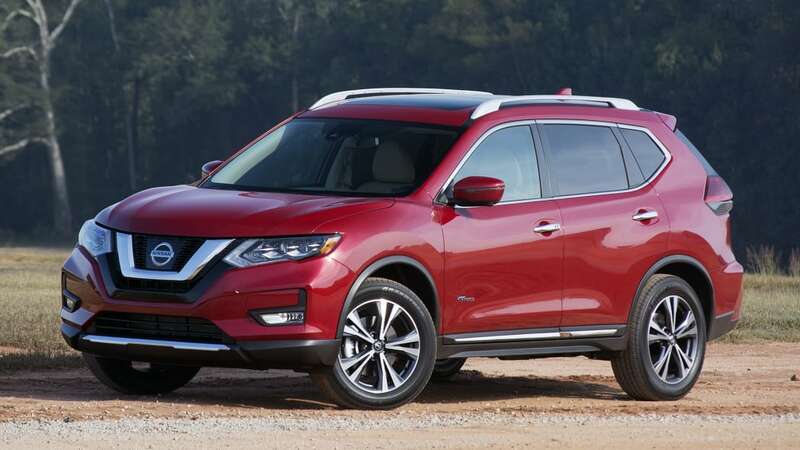 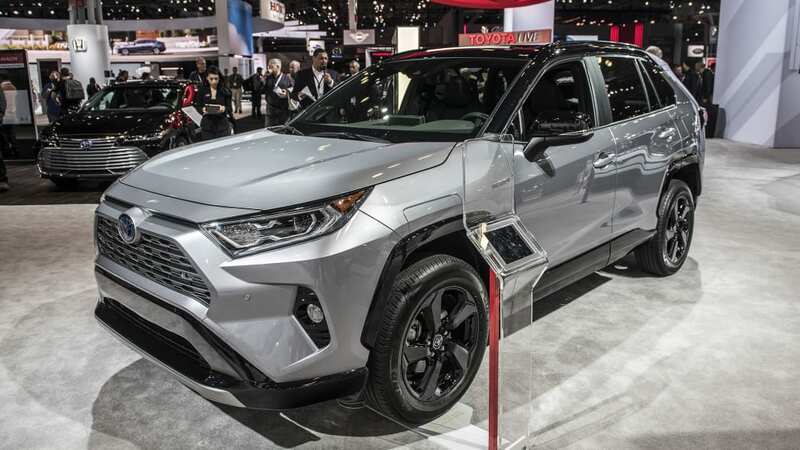 They will be going head-to-head with conventional hybrids including the 2019 Kia Niro, 2019 Nissan Rogue Hybrid and 2019 Toyota RAV4 Hybrid. 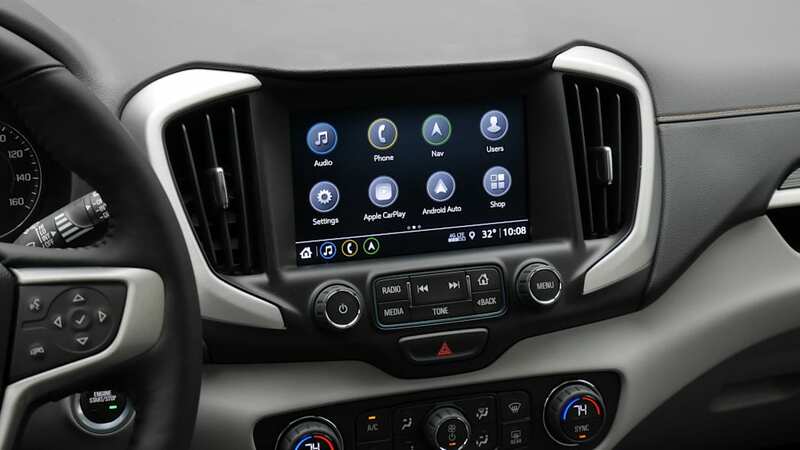 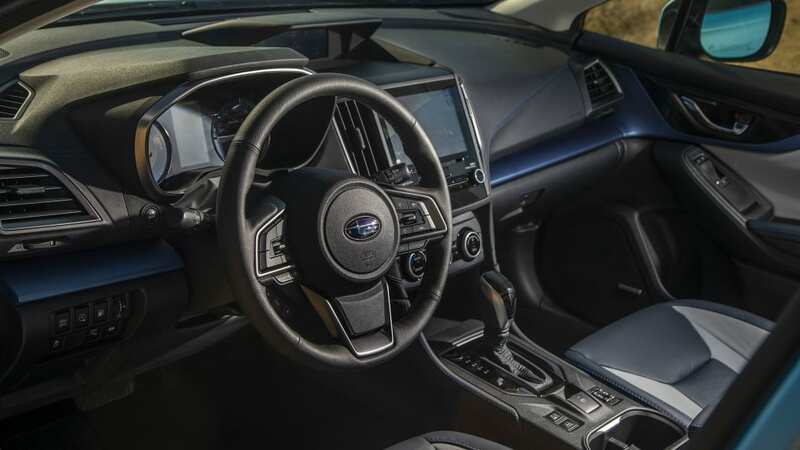 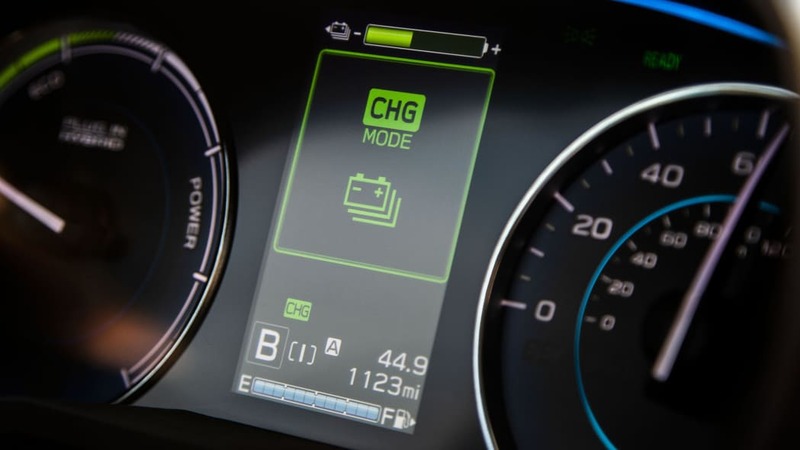 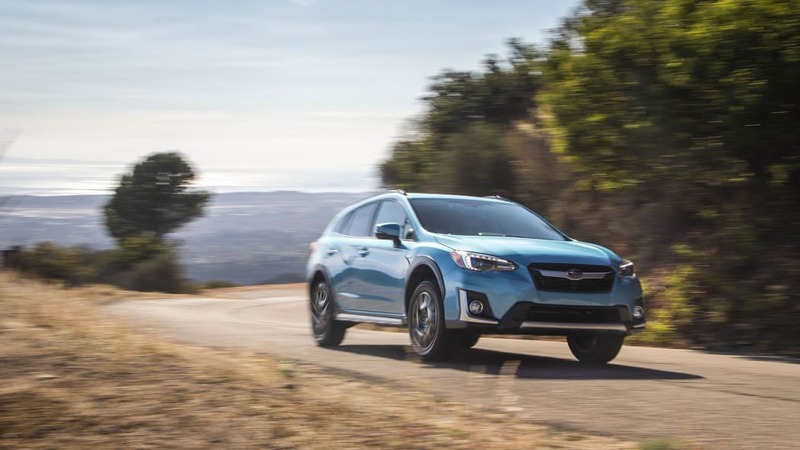 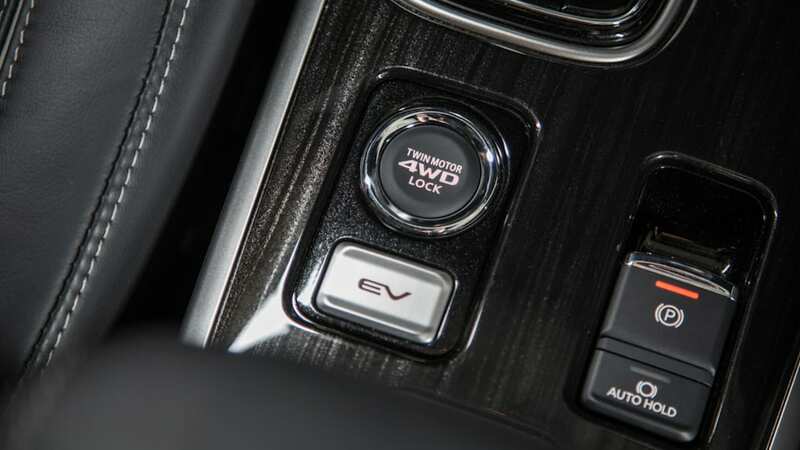 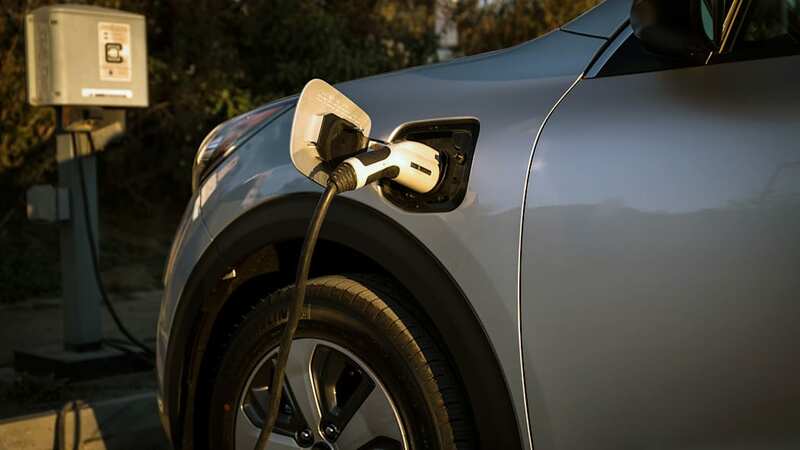 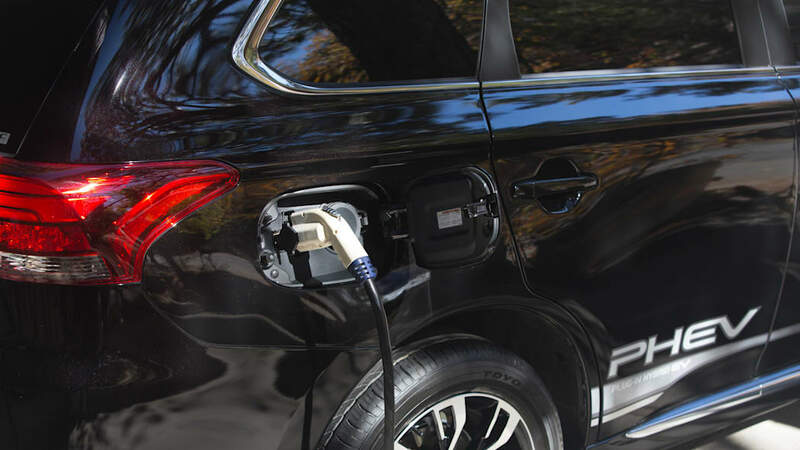 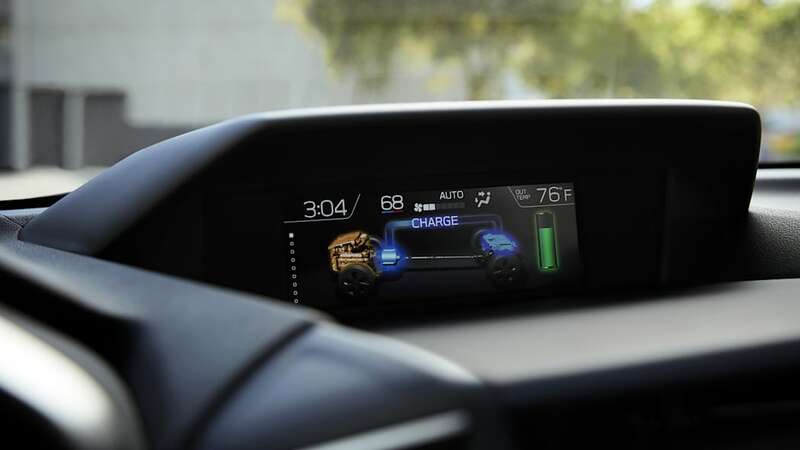 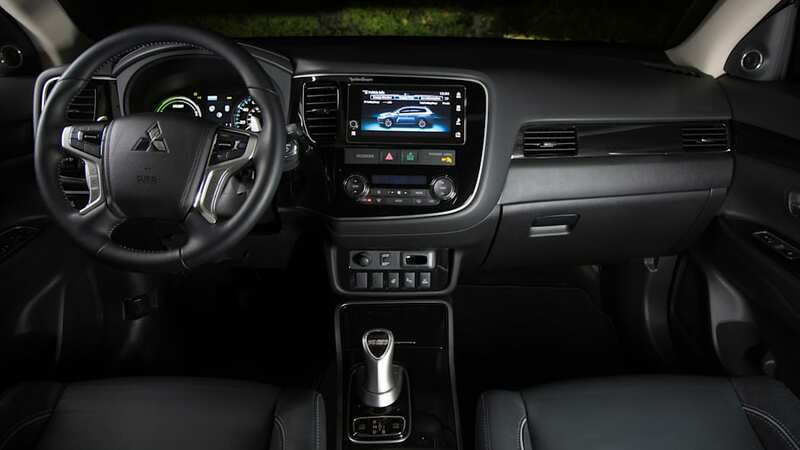 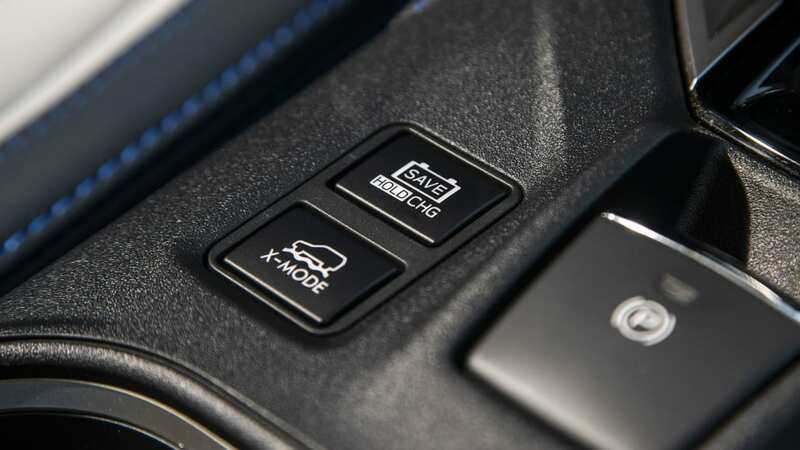 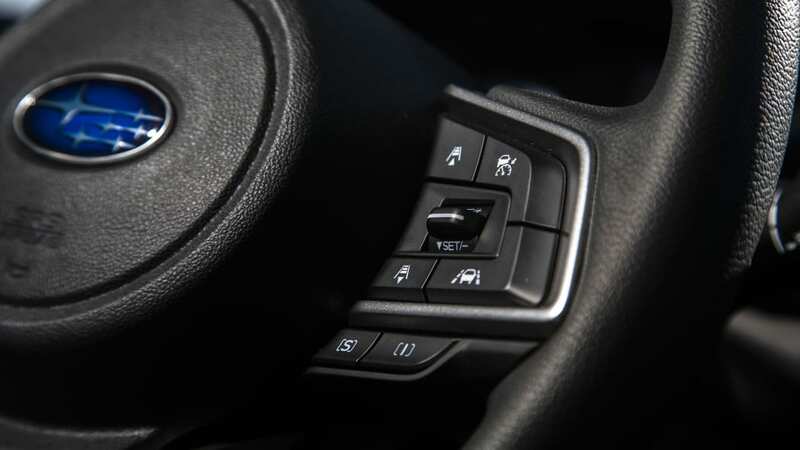 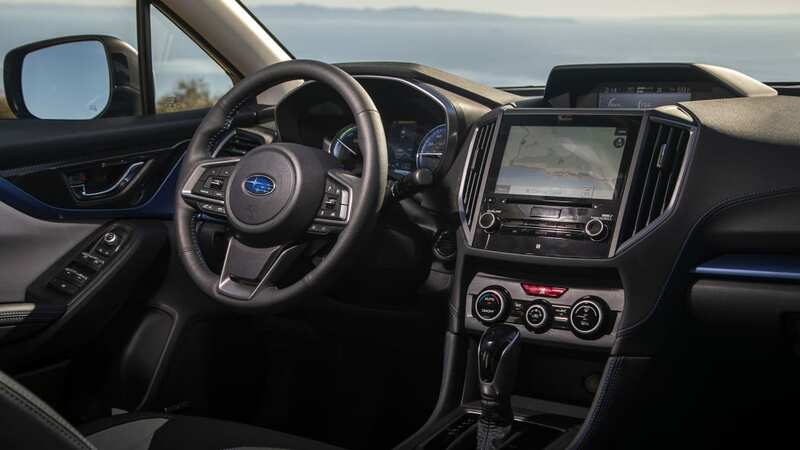 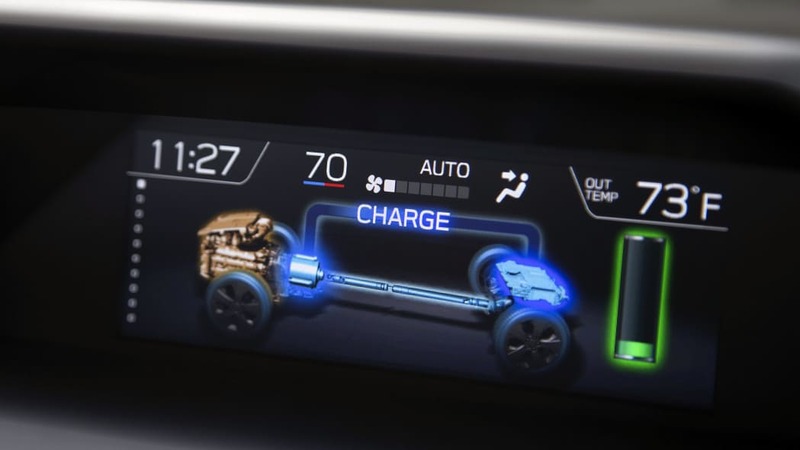 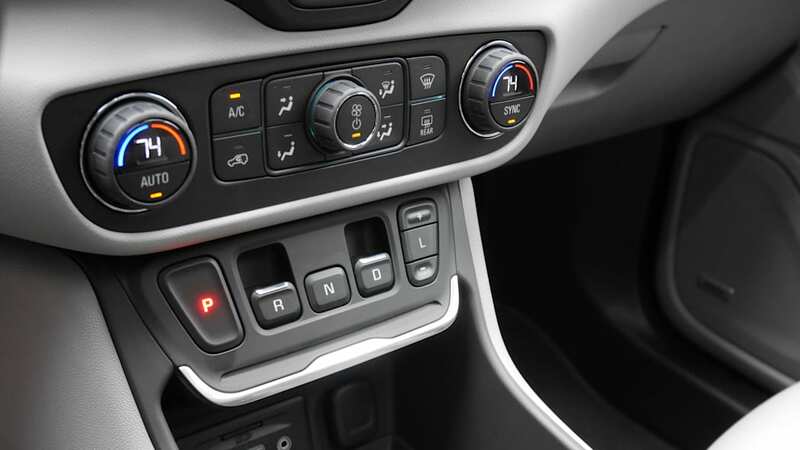 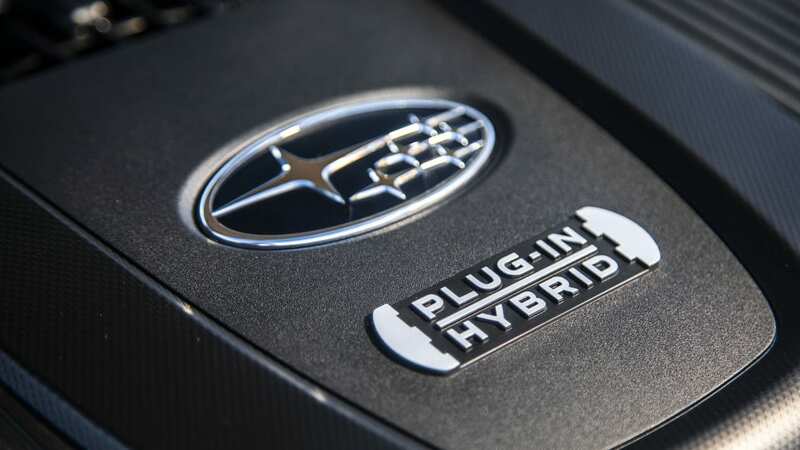 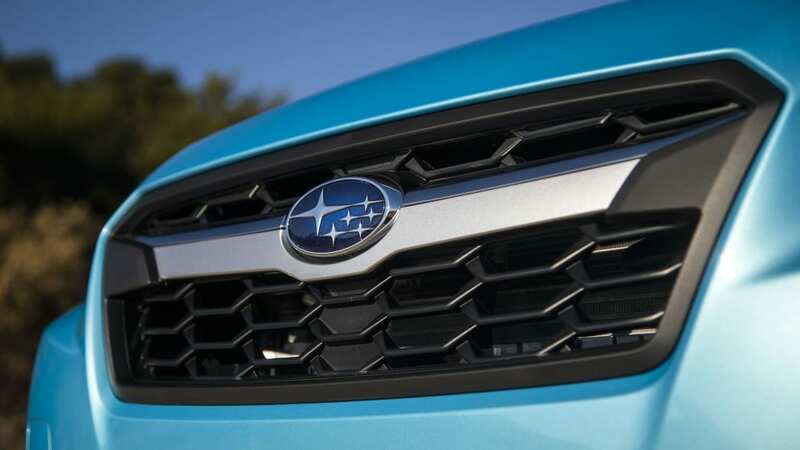 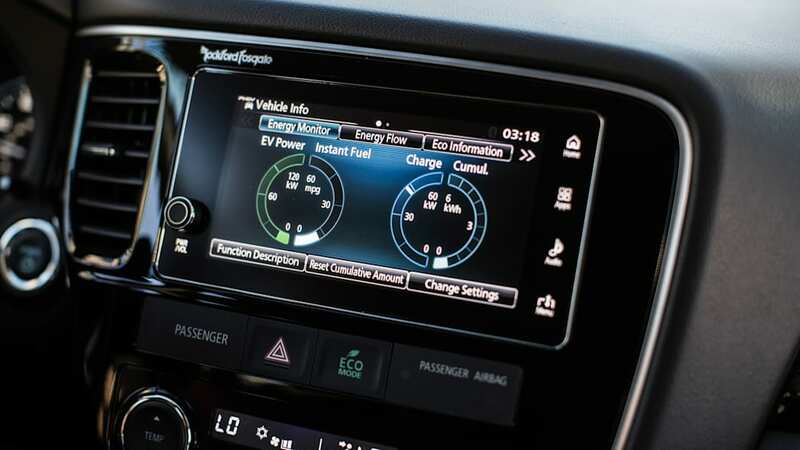 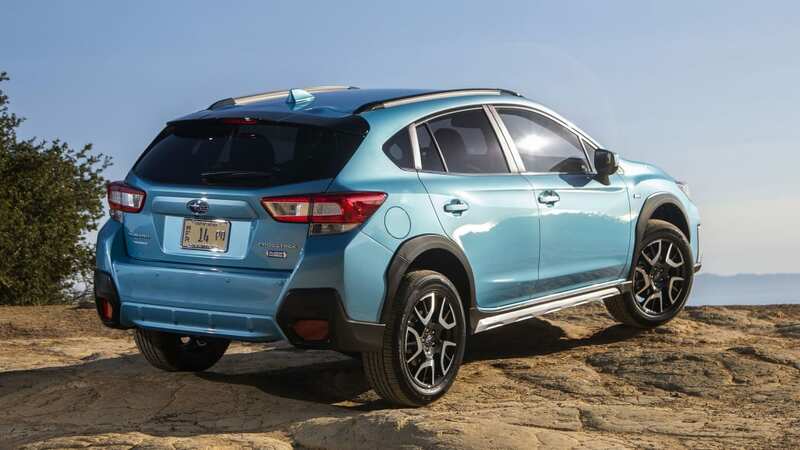 There are other plug-in hybrids including the 2019 Subaru Crosstrek PHEV, 2019 Mitsubishi Outlander PHEV and the plug-in version of the 2019 Kia Niro. 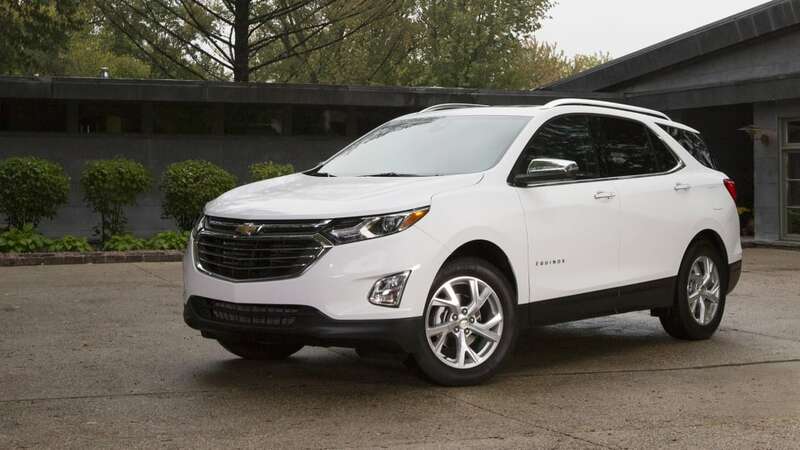 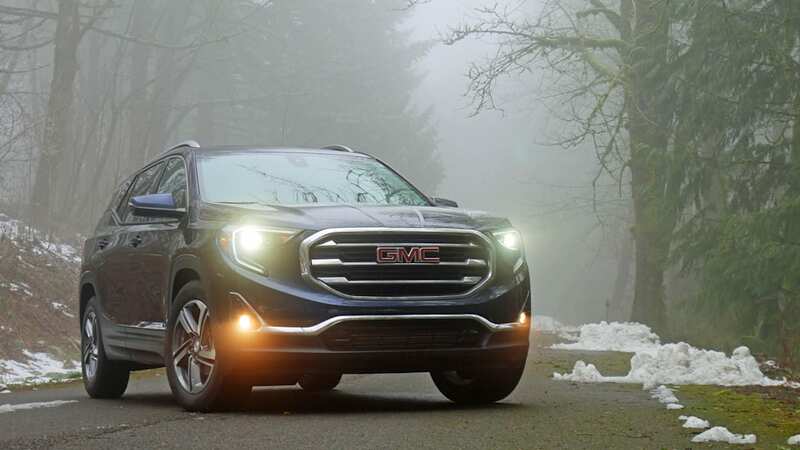 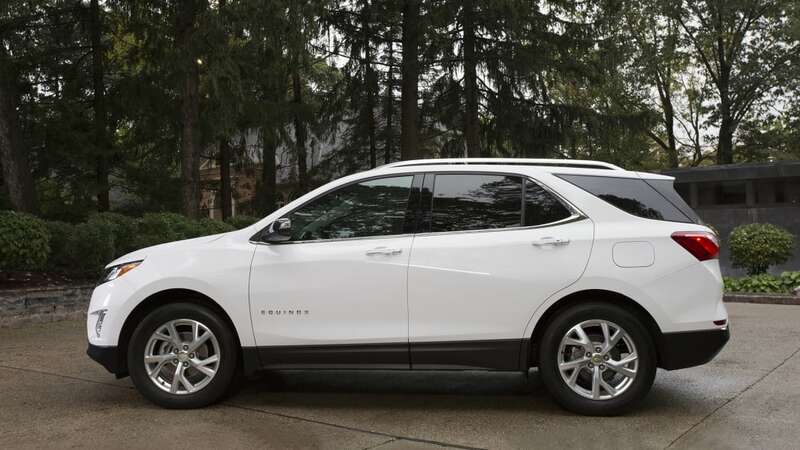 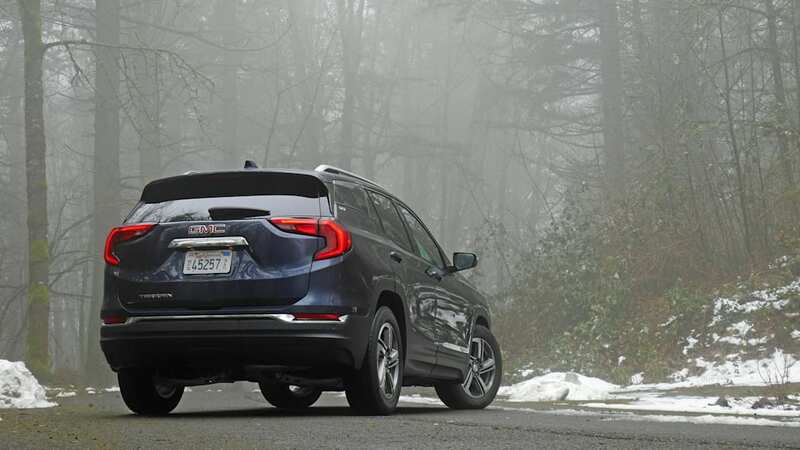 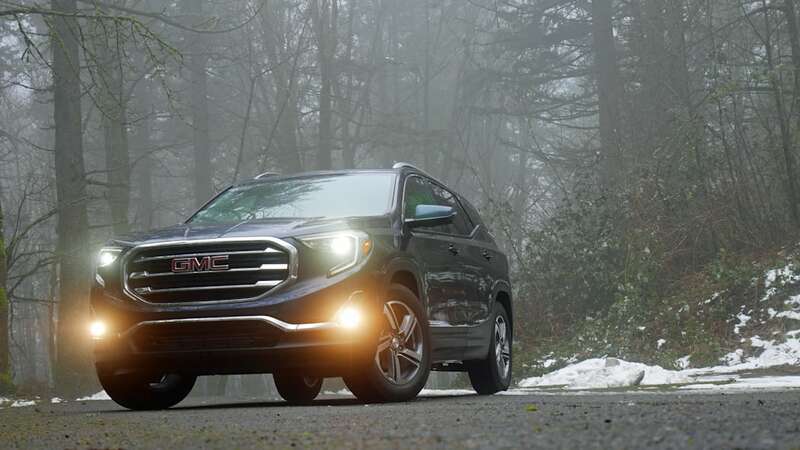 There are even a couple diesels in the form of the 2019 Chevy Equinox and 2019 GMC Terrain. 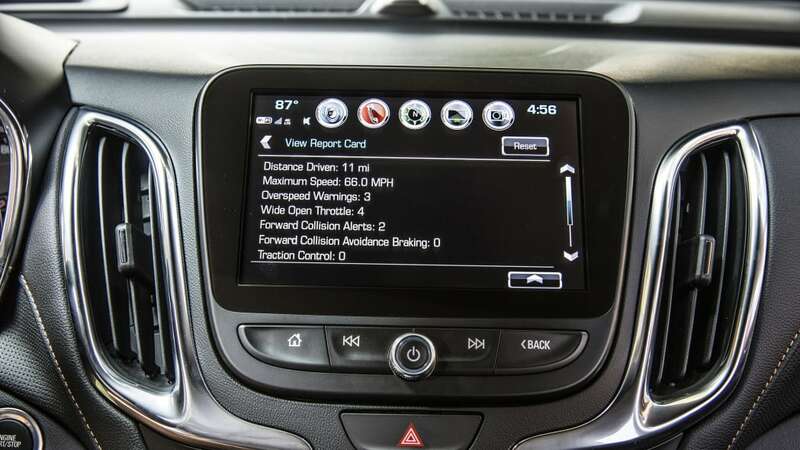 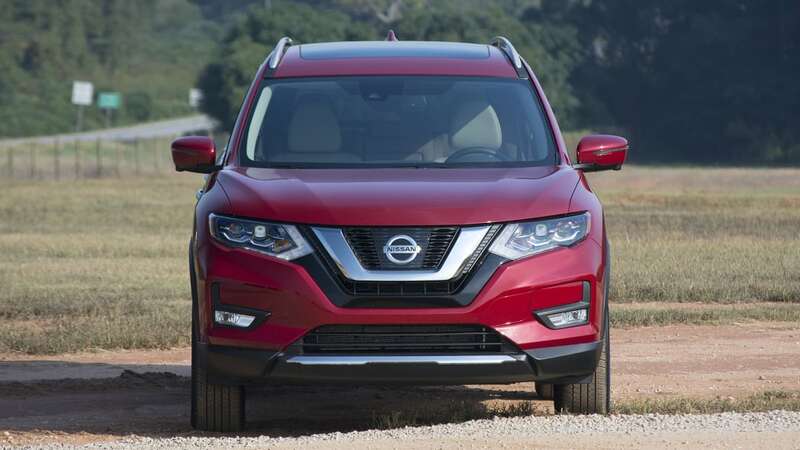 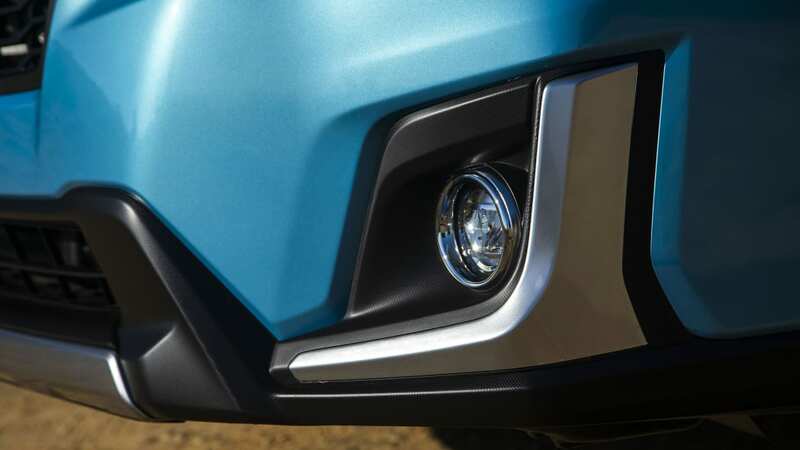 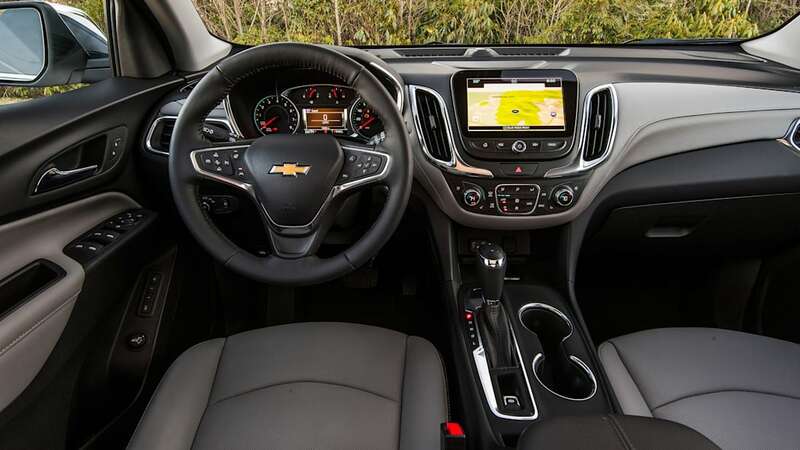 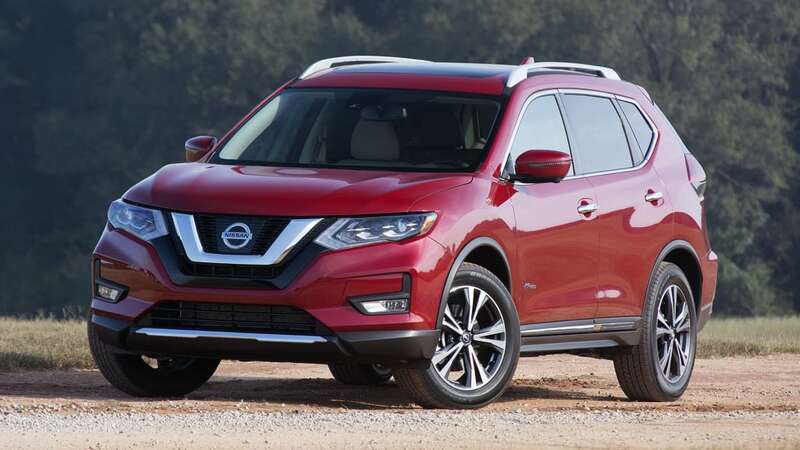 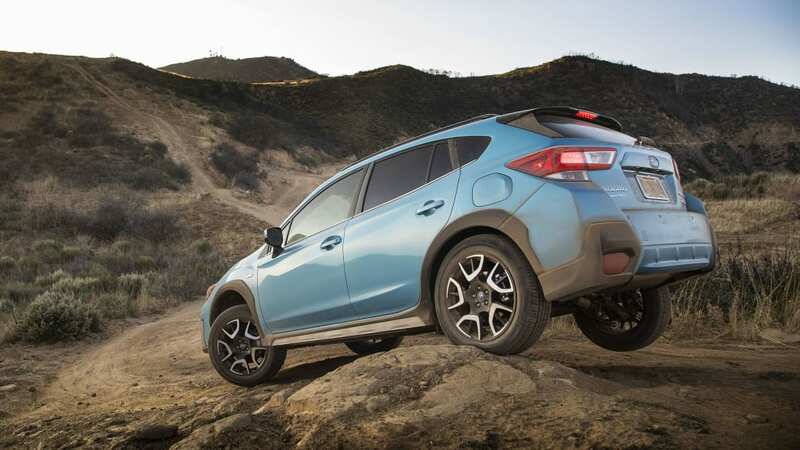 So we've rounded up the details on all these crossovers to see who leads and lags in criteria such as power, fuel efficiency, space and price. 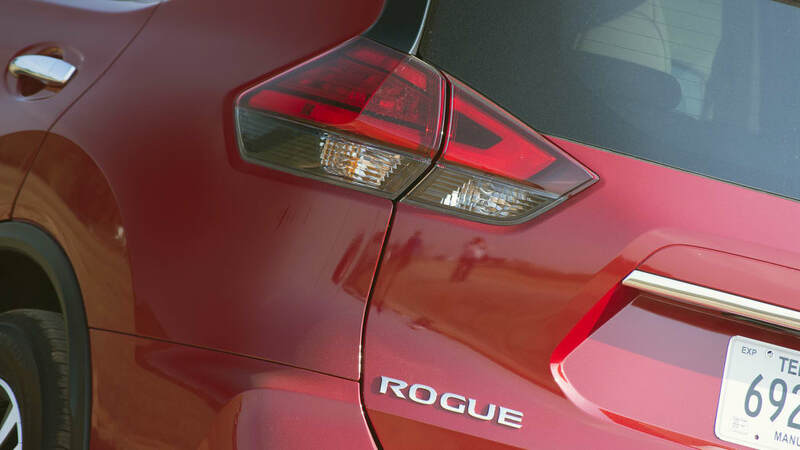 Let's face it, if you're buying one of these crossovers, one of the things that matters most to you is just how frugal with fuel they are. 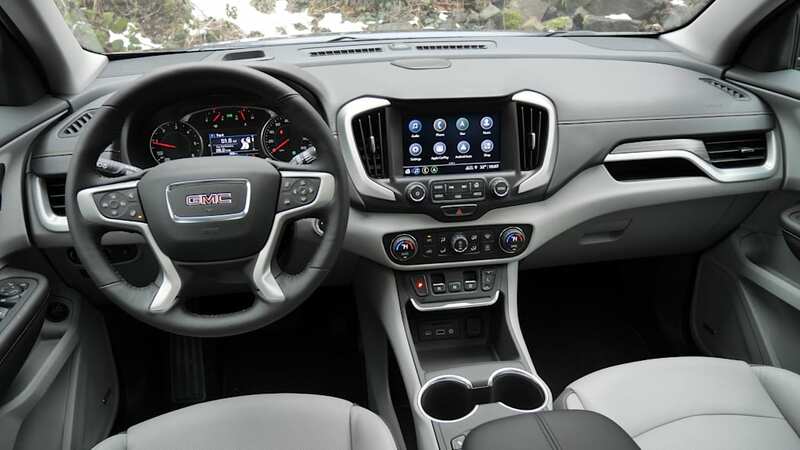 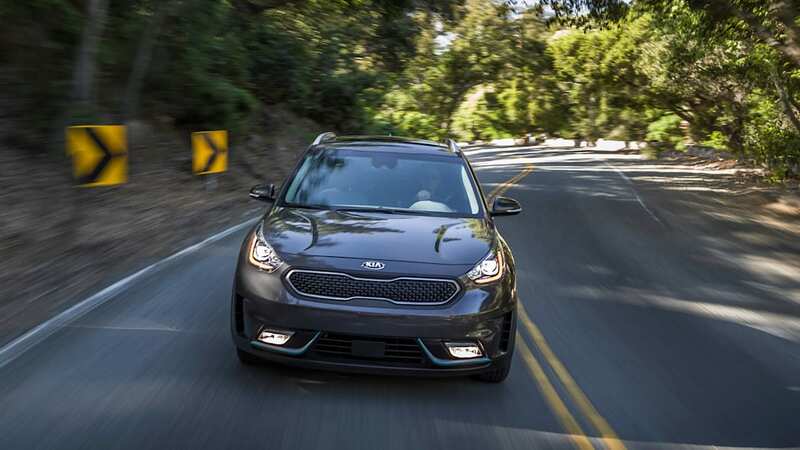 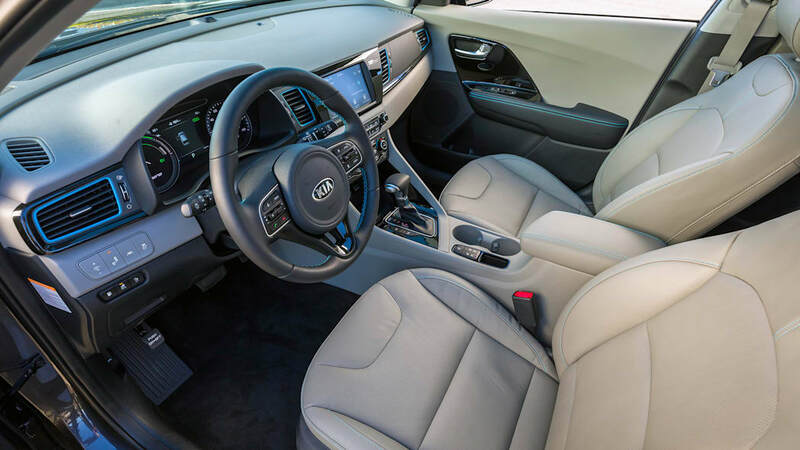 We'll start off with the conventional hybrids and diesels, and the clear victor is the Kia Niro, which in base FE trim, manages to hit 50 mpg combined. 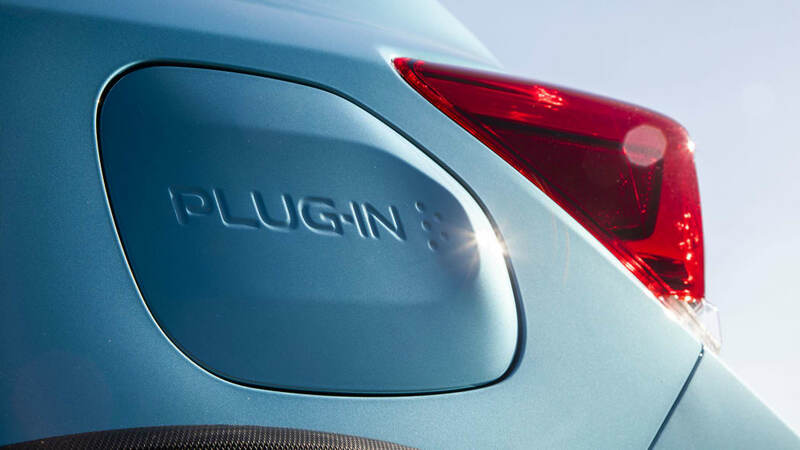 This is thanks to it sharing its powertrain with the Hyundai Ioniq, the Hyundai equivalent of the Toyota Prius. 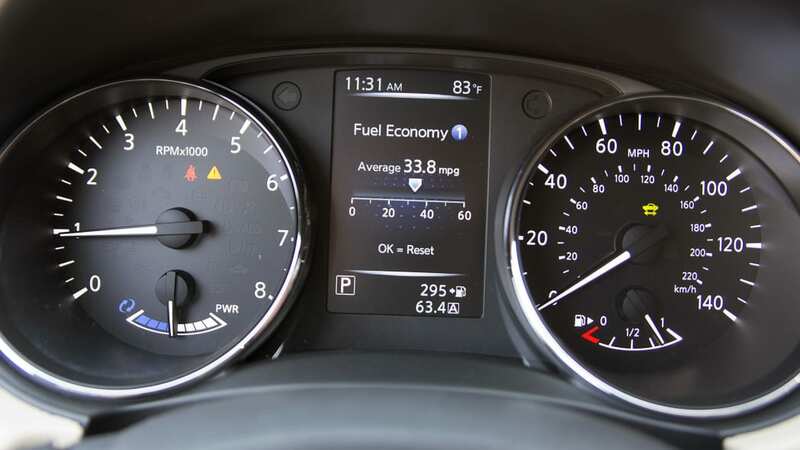 Buyers should take note that only the FE returns such high fuel economy. 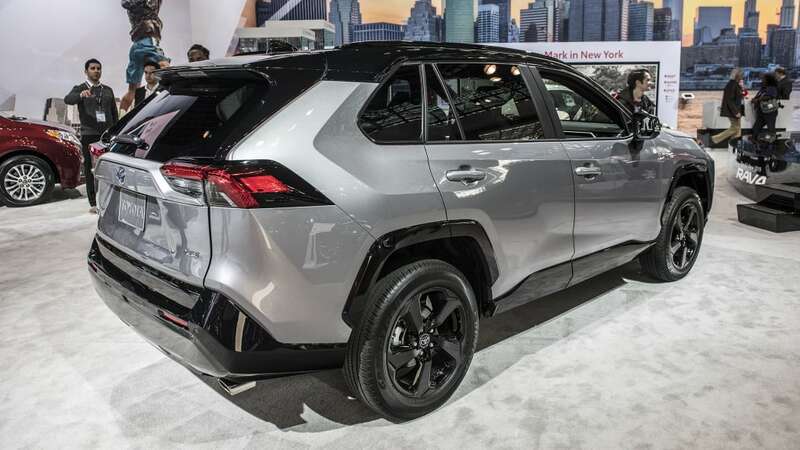 The LX and EX drop to 49 mpg, and the S Touring and Touring get 43. 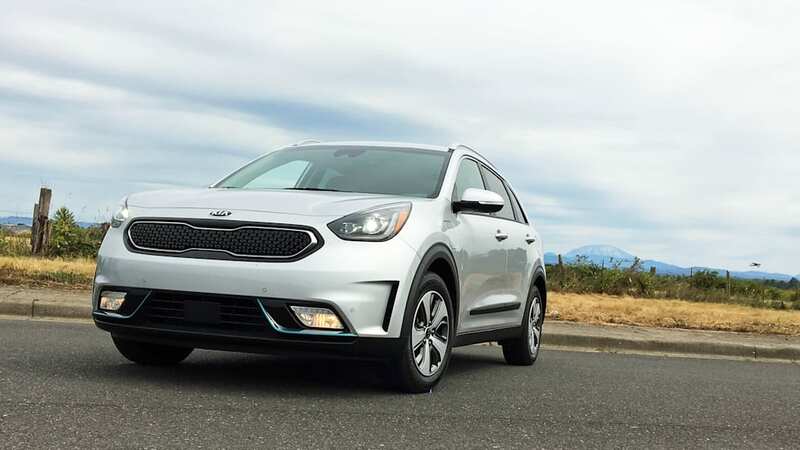 Even then, the least efficient Niro is the most efficient of the normal hybrids and diesels. 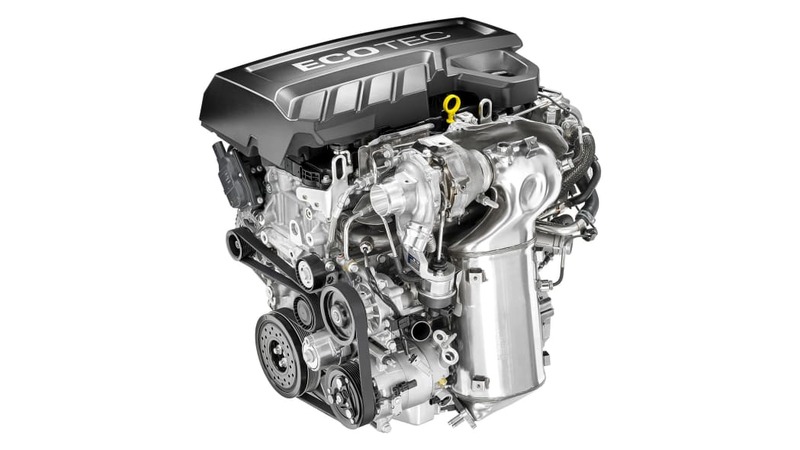 It is nearly the least powerful, though, with 139 horsepower. 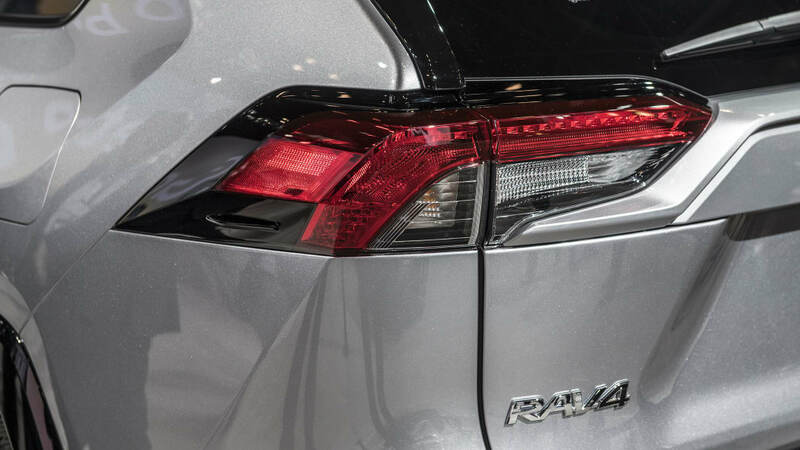 Just behind it is the Toyota RAV4 Hybrid. 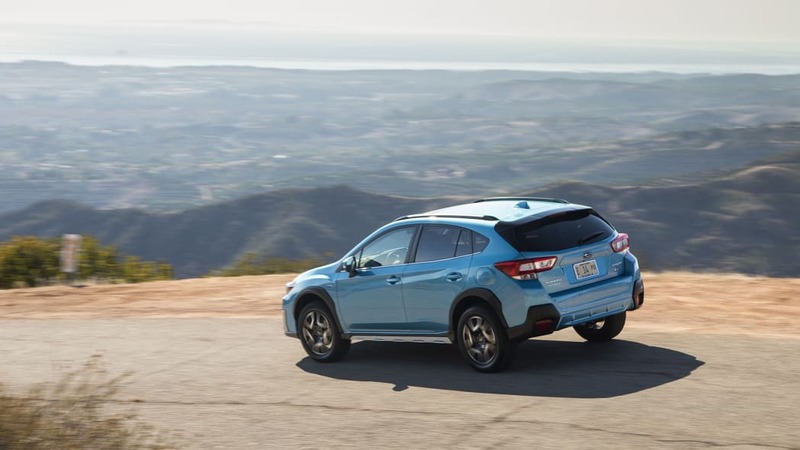 It delivers 40 mpg combined, and it has an ace up its sleeve: it comes standard with all-wheel drive. 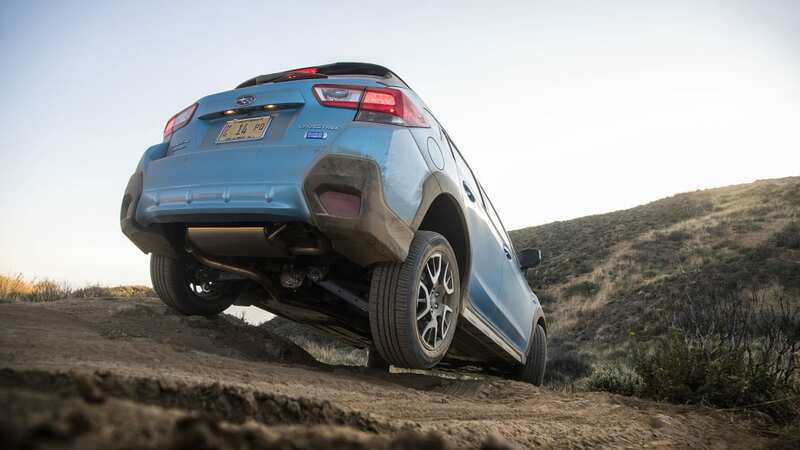 Every other vehicle in this powertrain group has front drive standard, and the Niro isn't available with all-wheel drive at all. 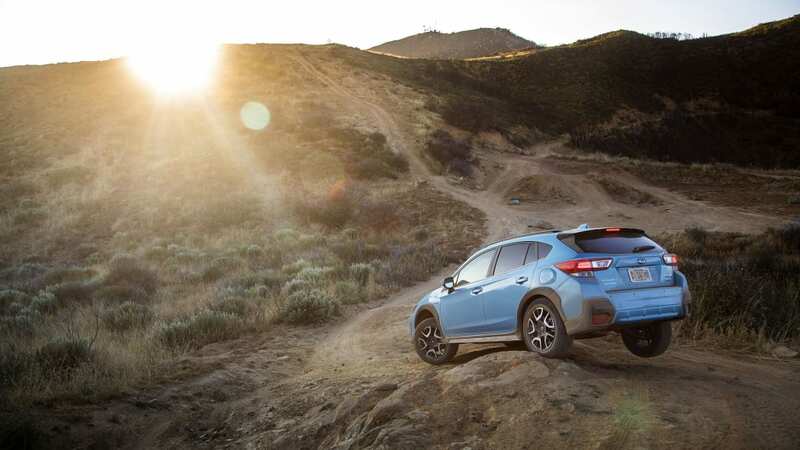 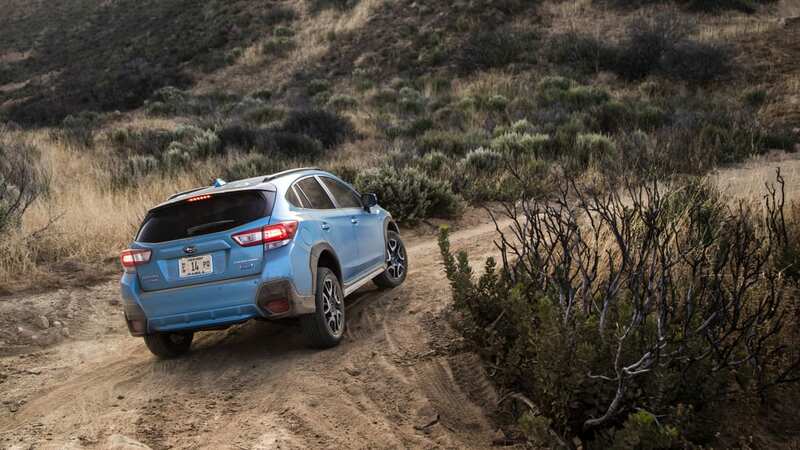 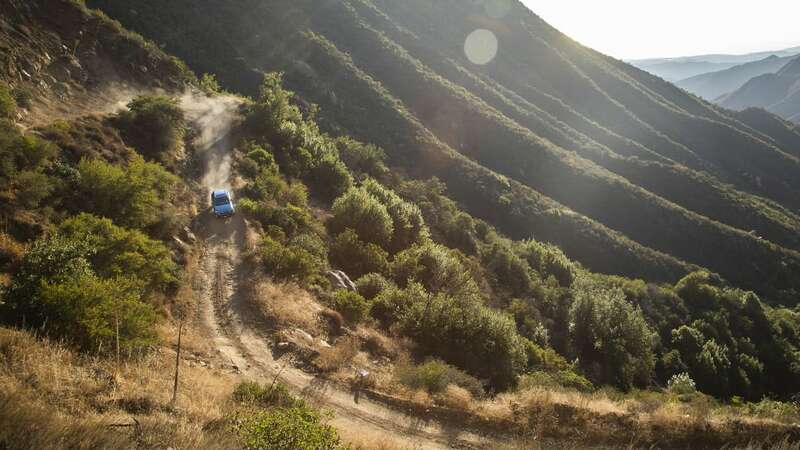 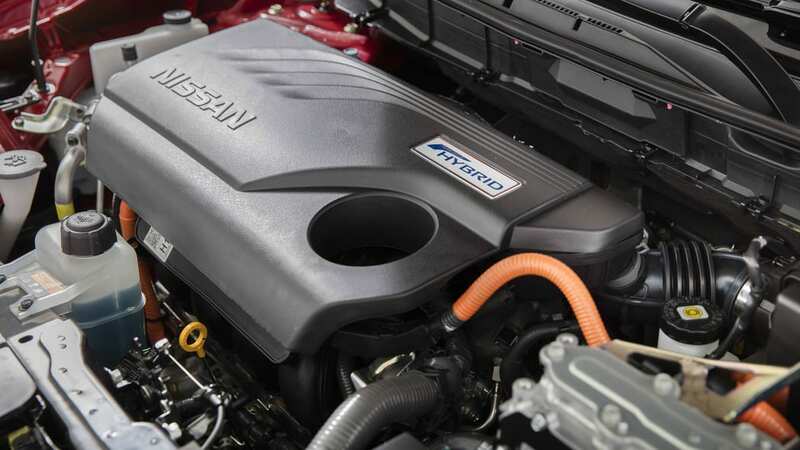 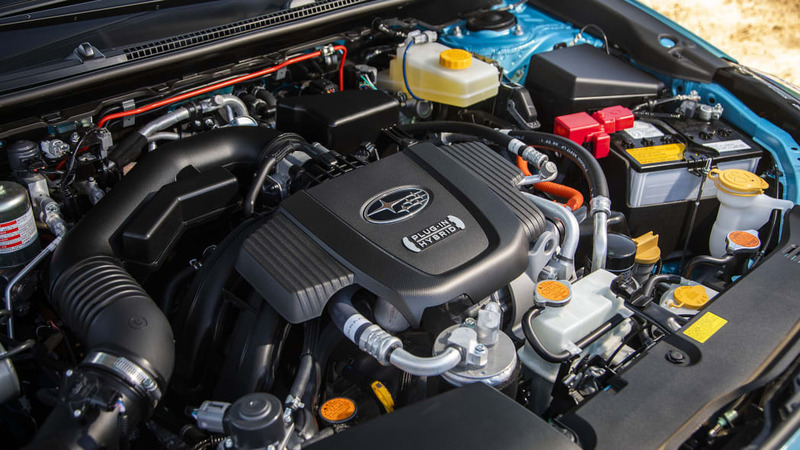 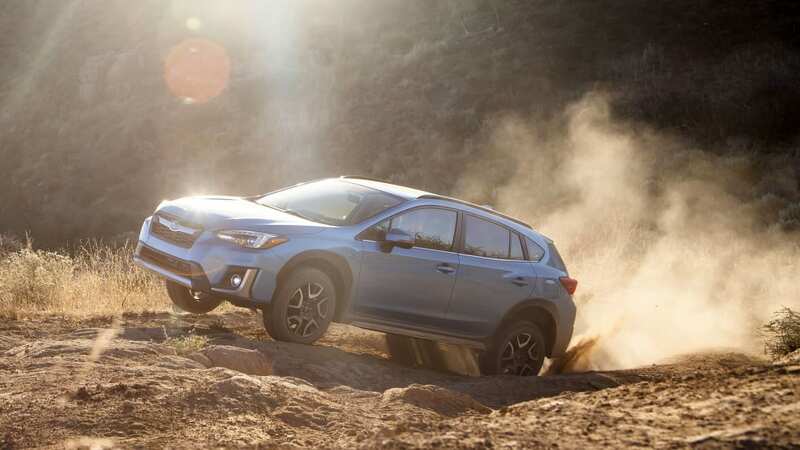 If that weren't enough, the RAV4 Hybrid also boasts the most power at 219 horses. 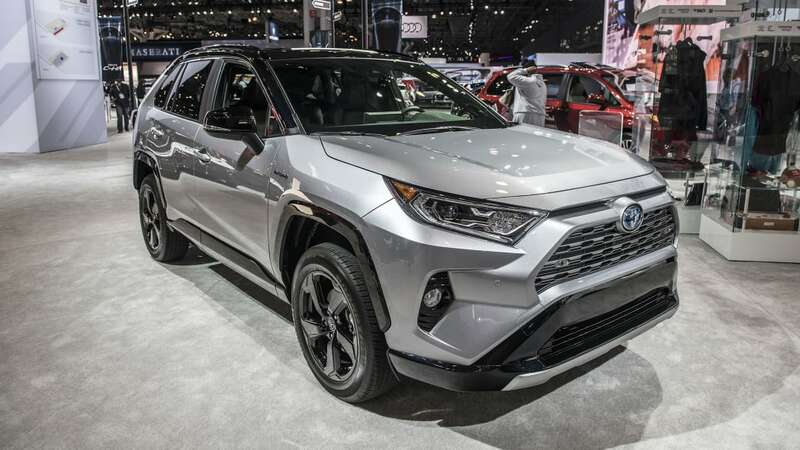 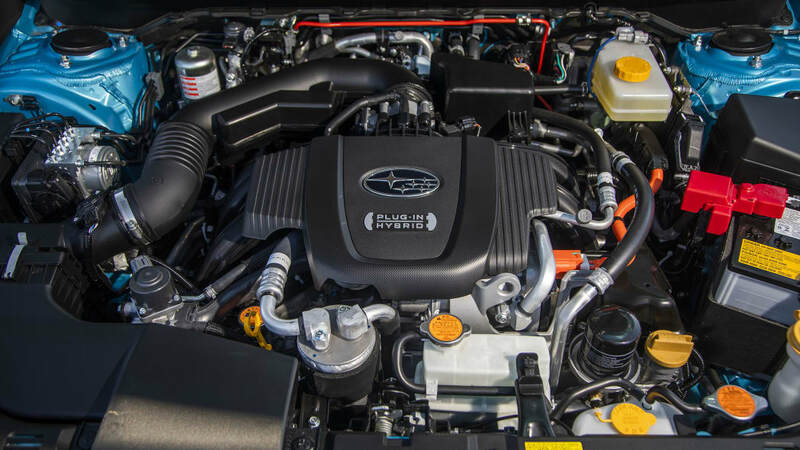 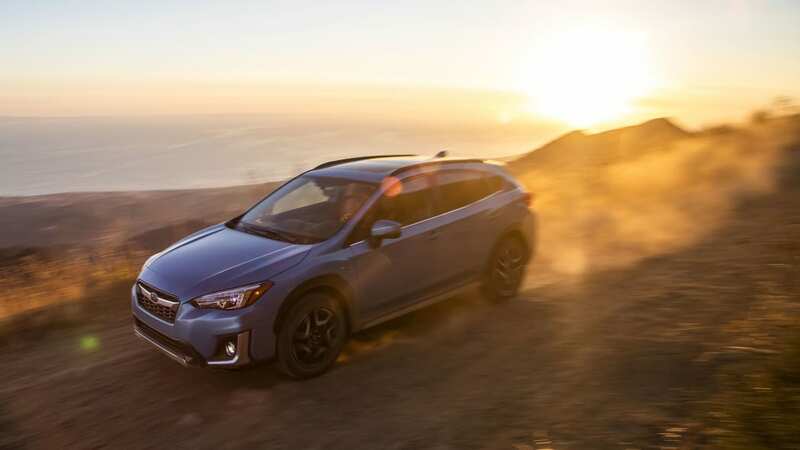 While we can't say anything about Escape Hybrid fuel economy, we do know that it will make 198 horsepower, which is close to the class-leading RAV4. 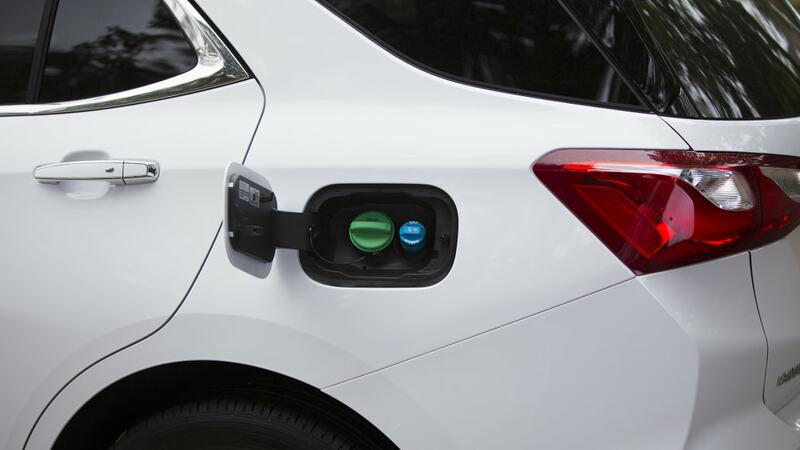 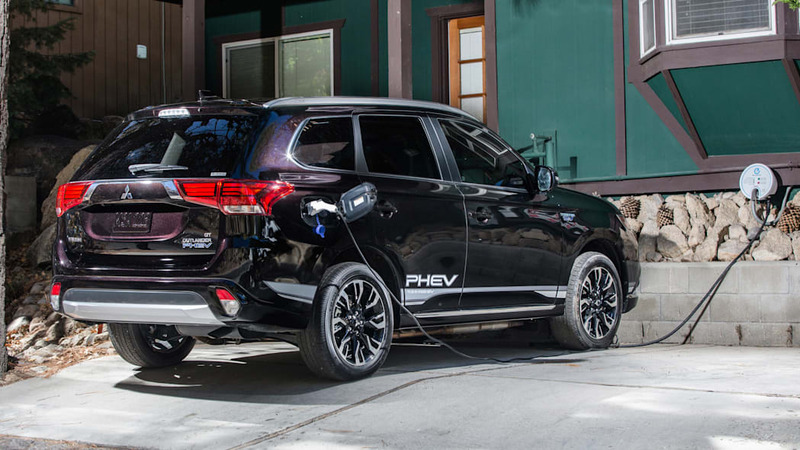 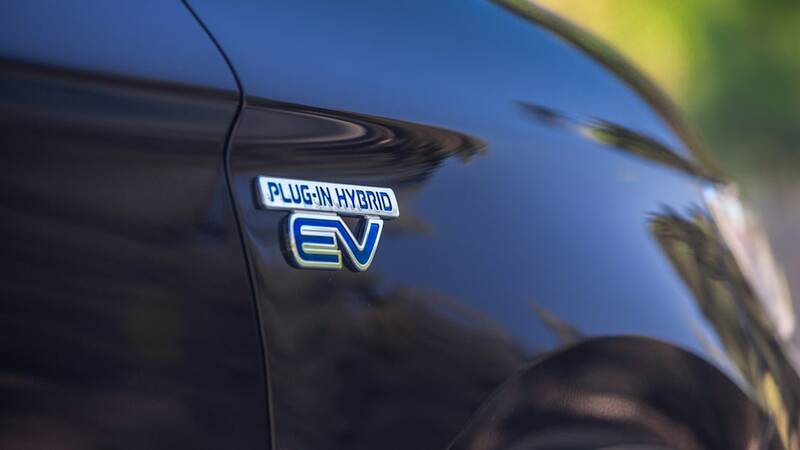 The plug-in hybrid crossovers available can deliver even better fuel economy than the conventional hybrids, provided that they're regularly plugged in. 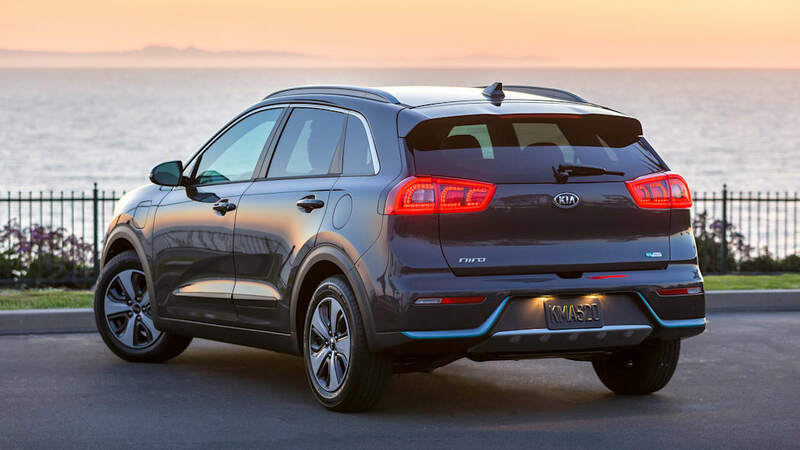 Once again, the Kia Niro PHEV tops the charts for maximum fuel economy at 105 mpg-e, which includes electric driving. 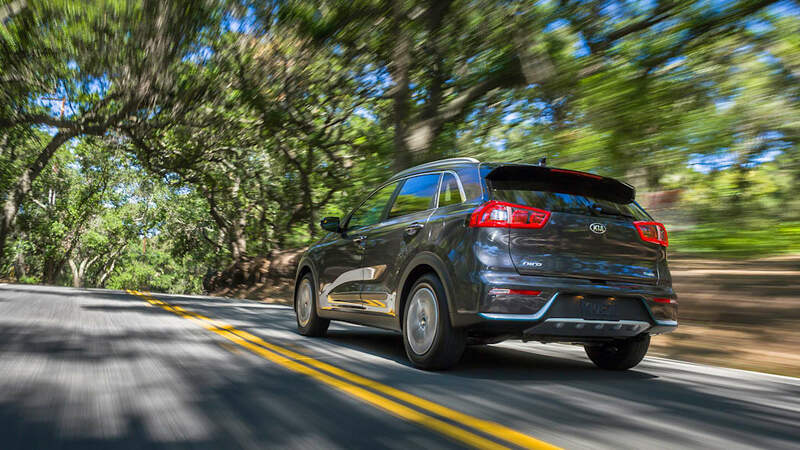 With an empty battery, the Niro drops down to 46 mpg. 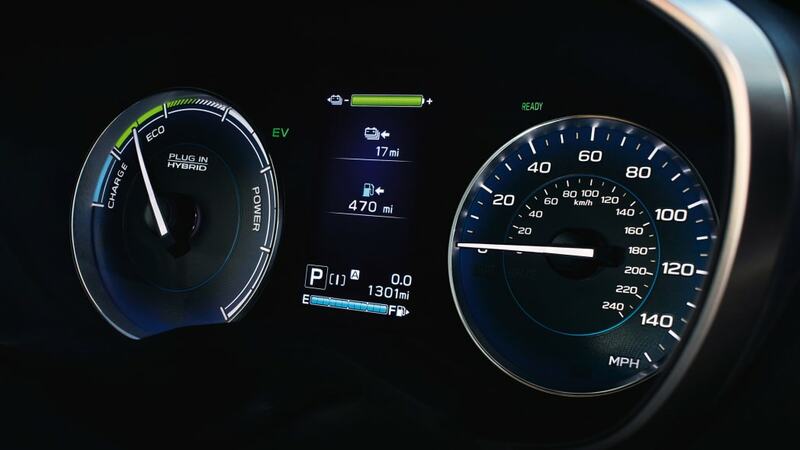 It also features the second-longest electric driving range at 26 miles. 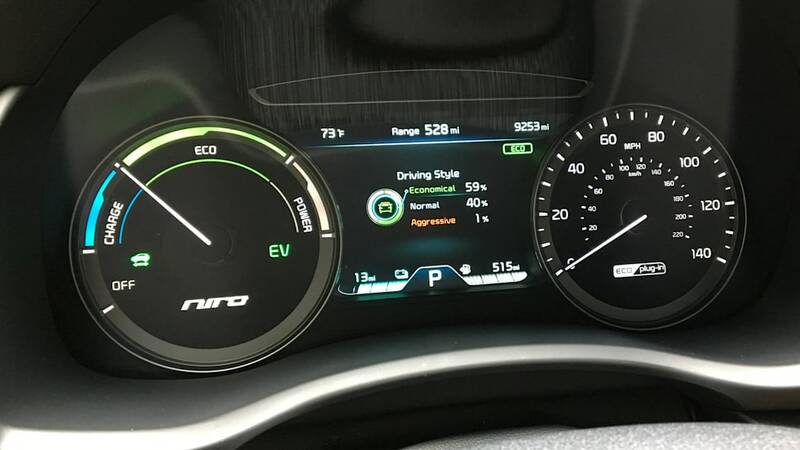 Like the non-plug-in model, the Niro isn't available with all-wheel drive, and its nearly the weakest powertrain in the group at 139 horsepower. 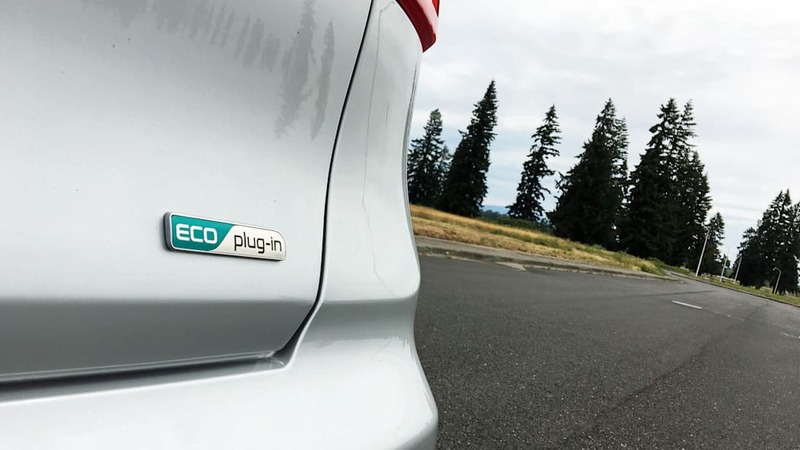 We don't have full numbers for the Escape PHEV, but it does have the longest full-electric driving range at 30 miles. 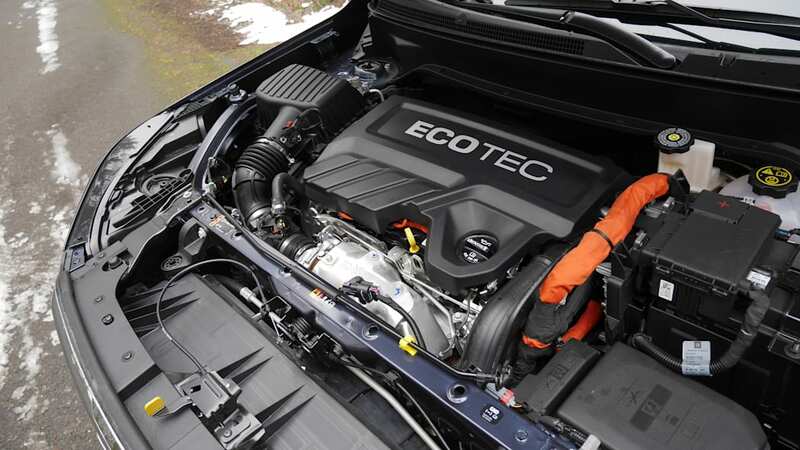 It also has the strongest powertrain with 209 horsepower. 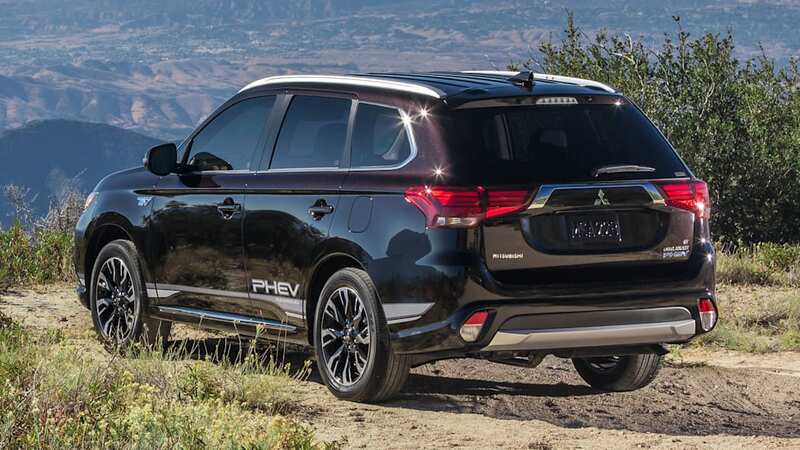 The least efficient of these vehicles is the Mitsubishi Outlander PHEV. 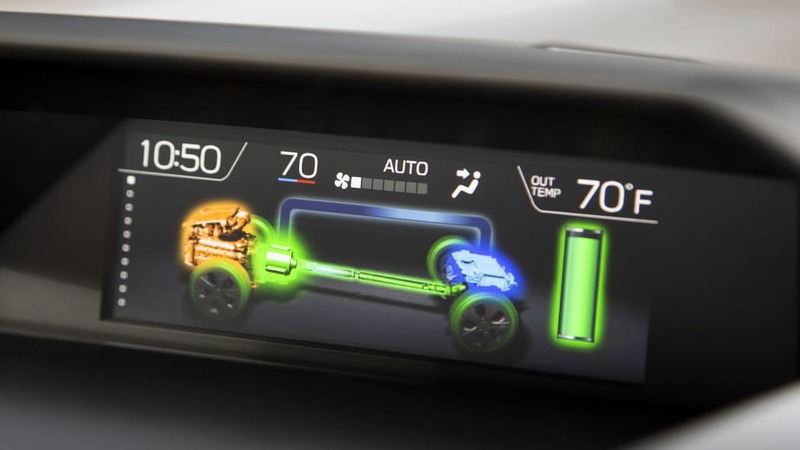 It manages 74 mpg-e, and once the battery has drained, it gets just 25 mpg. 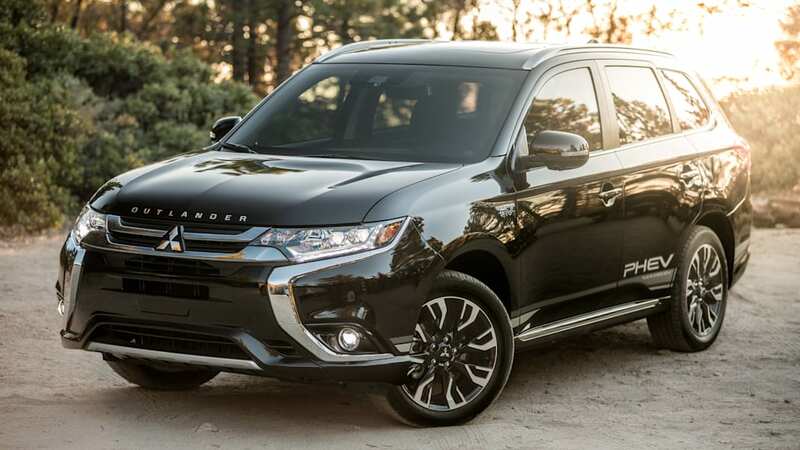 That's a bit worse than the four-cylinder non-hybrid Outlander in both front- and all-wheel-drive forms. 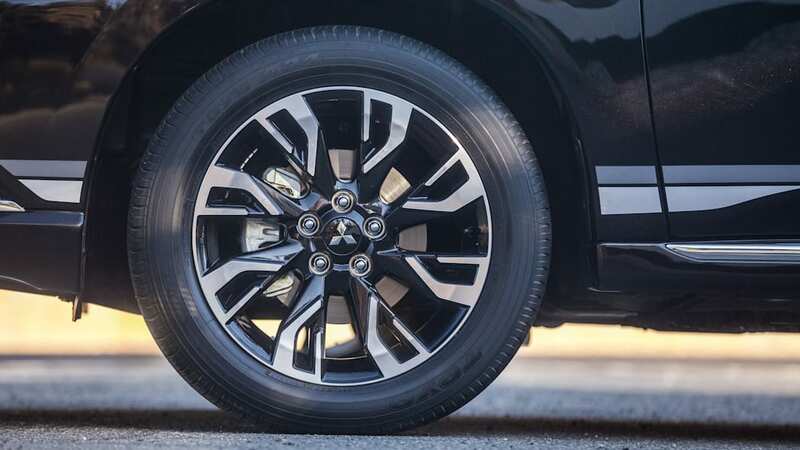 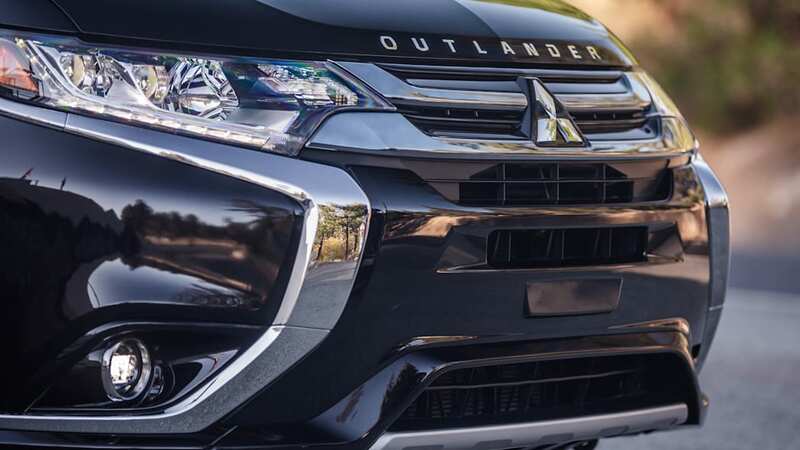 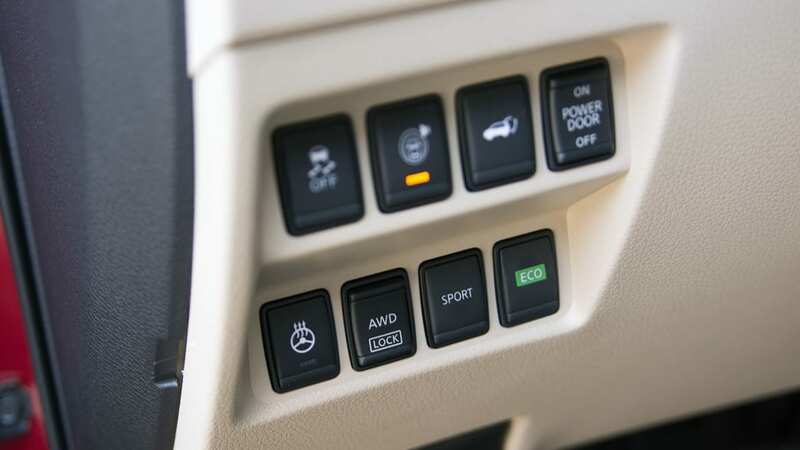 The Outlander is one of the only PHEVs that provides all-wheel drive as a standard feature (so does the Subaru Crosstrek PHEV). 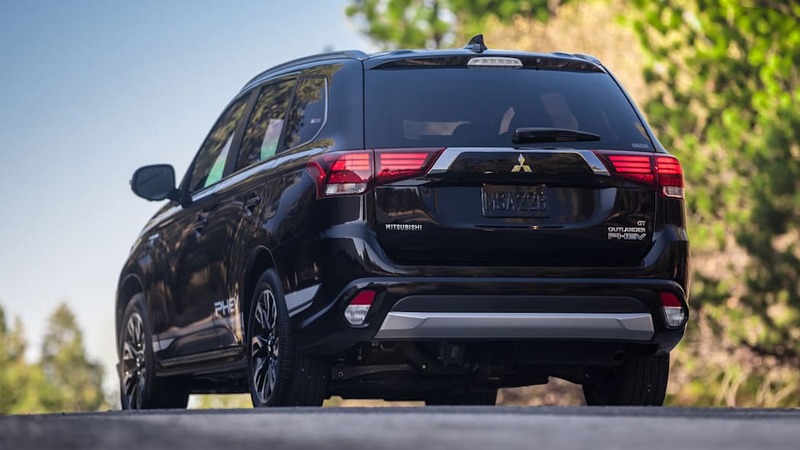 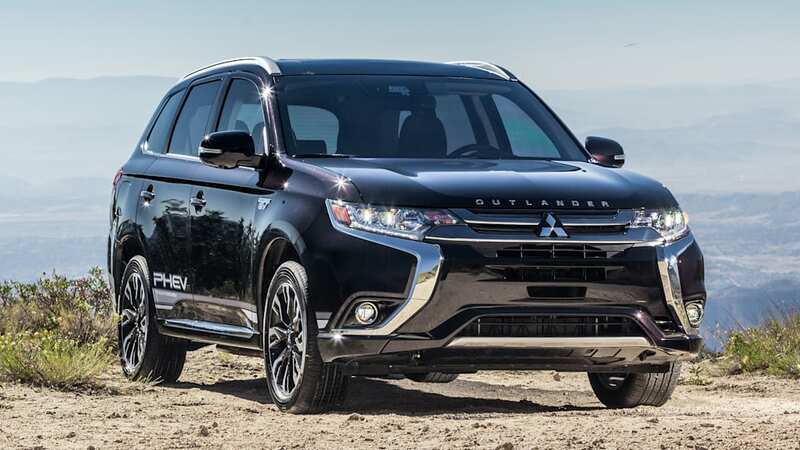 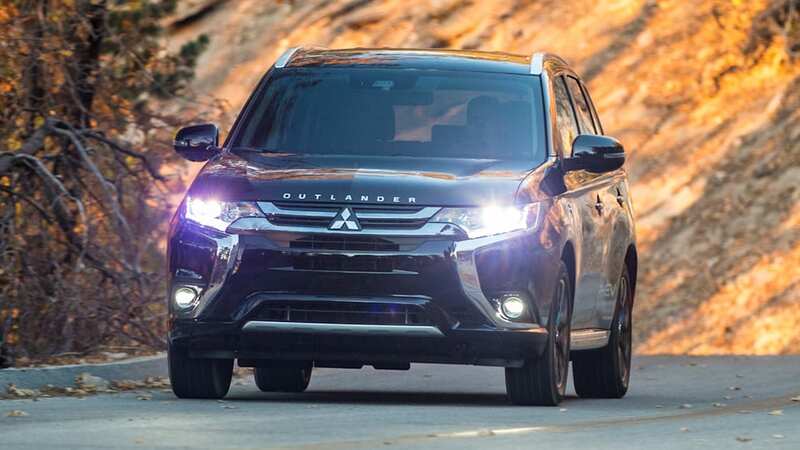 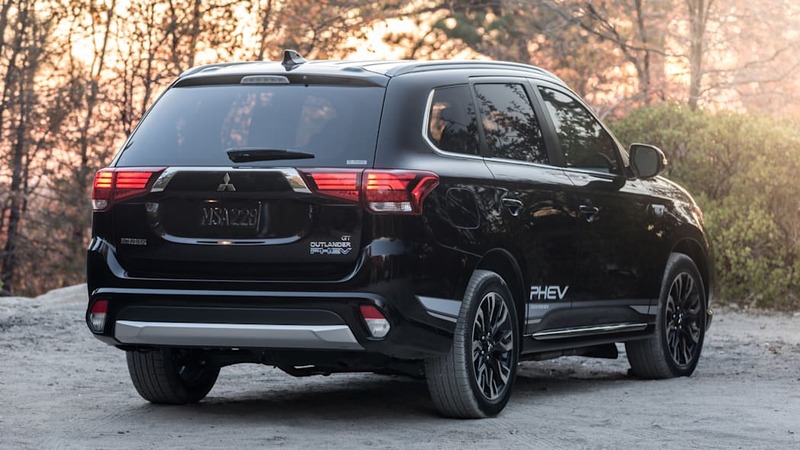 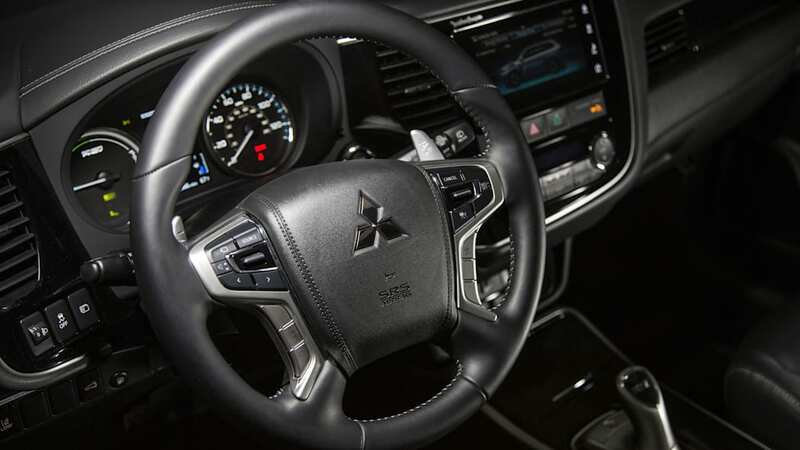 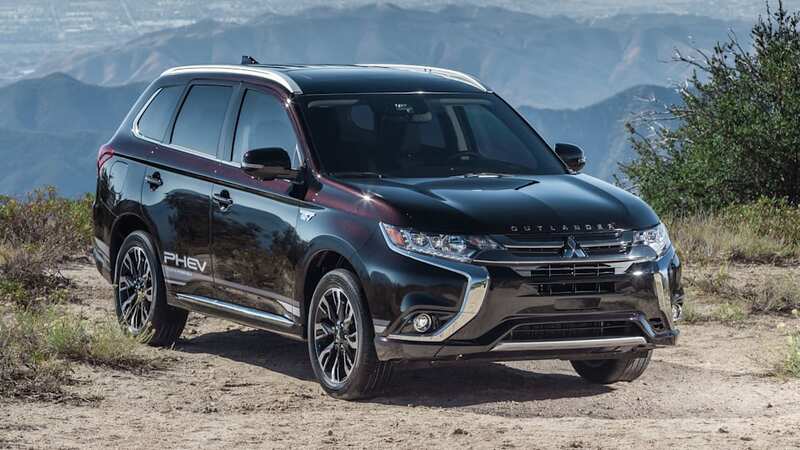 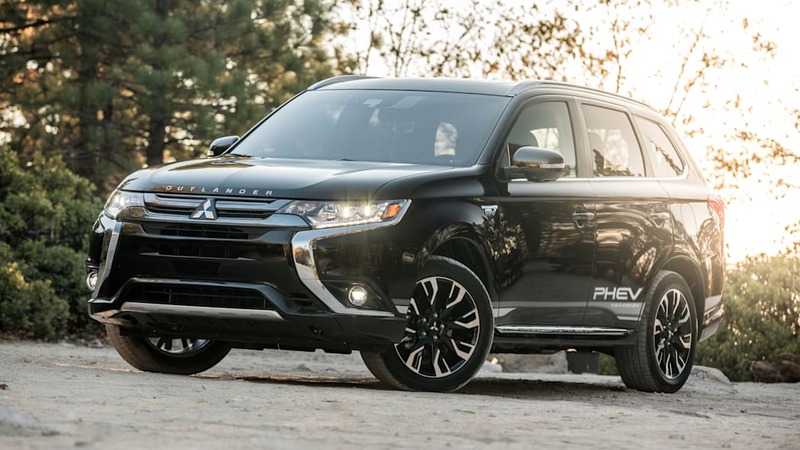 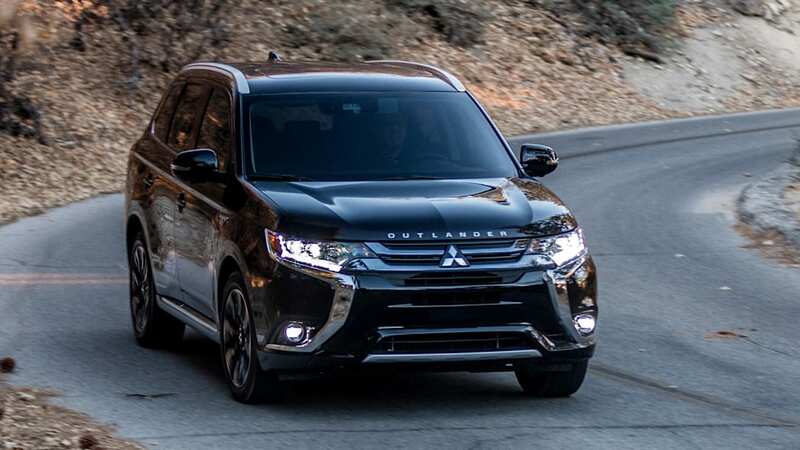 The Outlander is also the second most powerful PHEV with 190 horsepower. 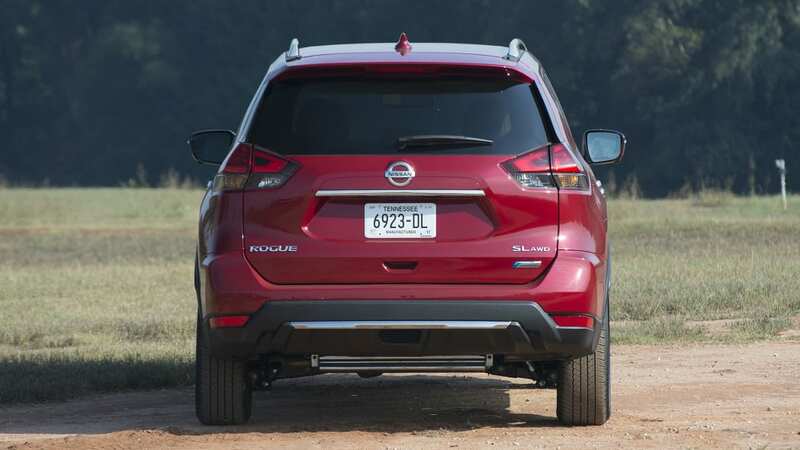 All of these crossovers are close in size, but some advantages do show up. 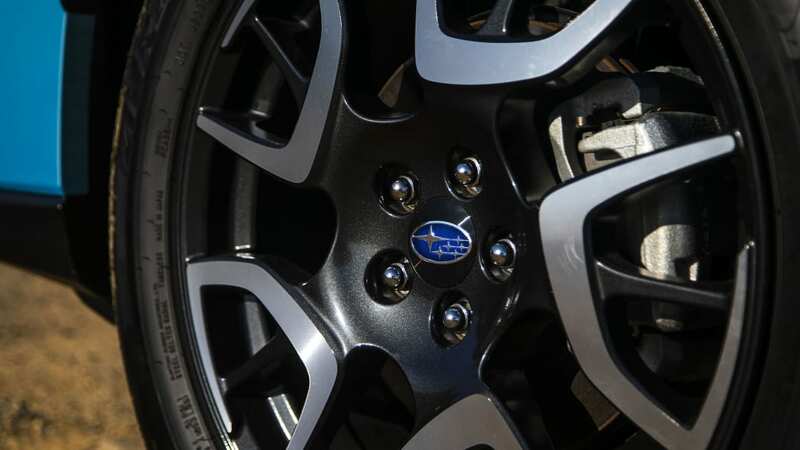 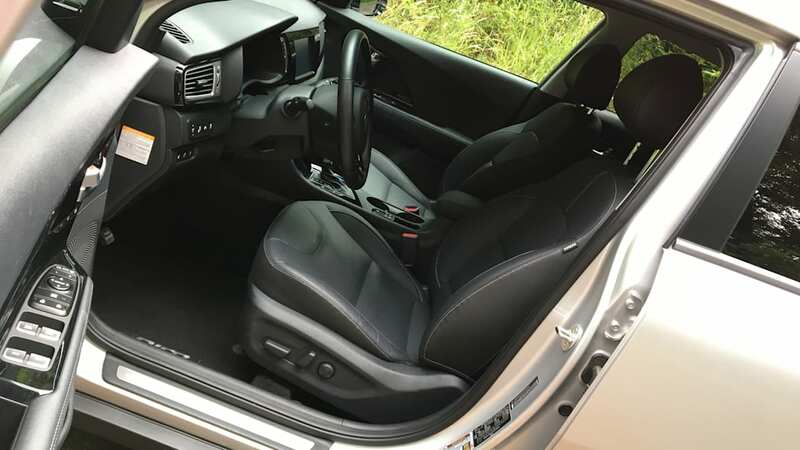 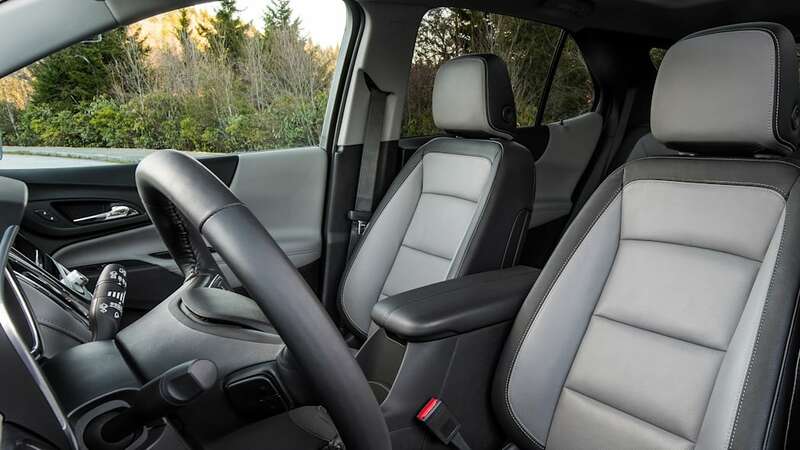 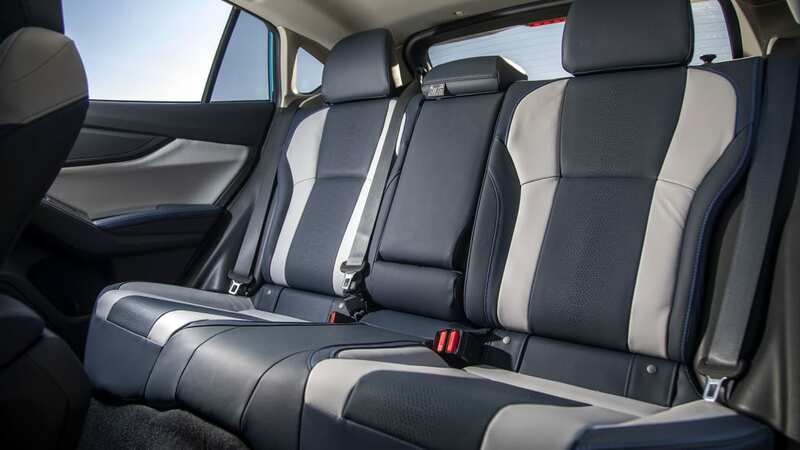 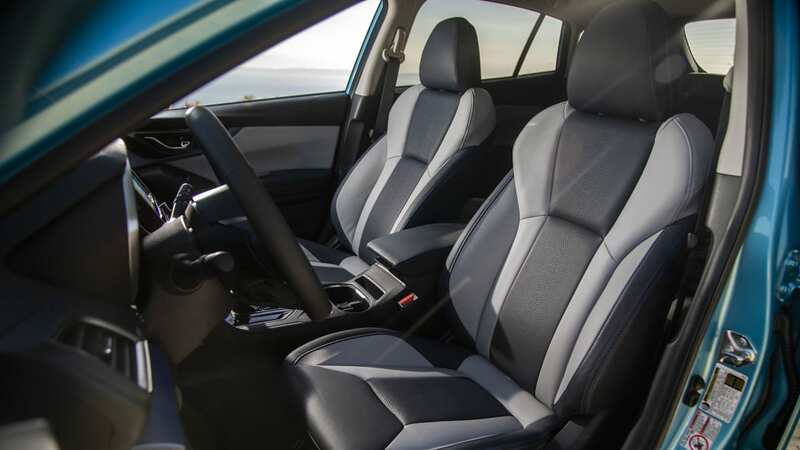 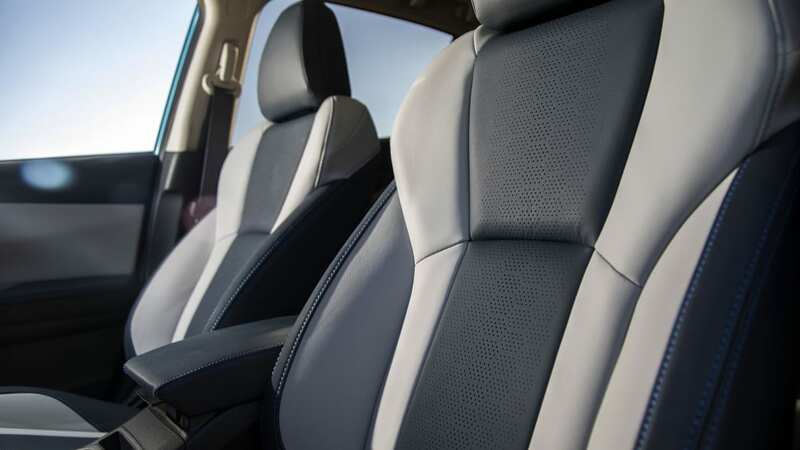 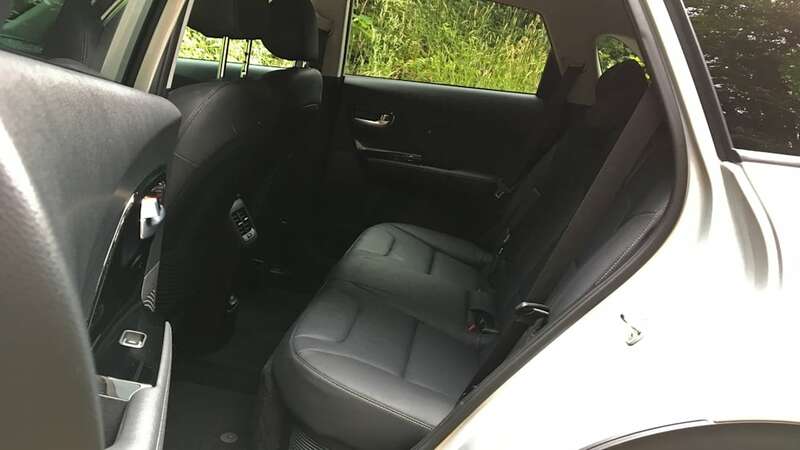 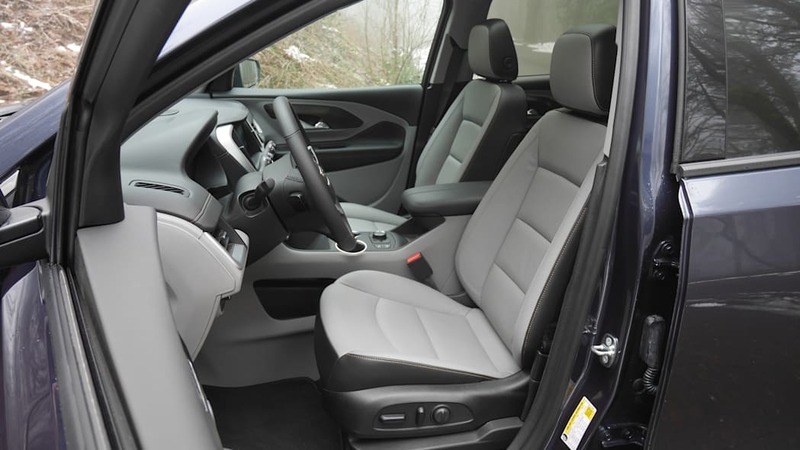 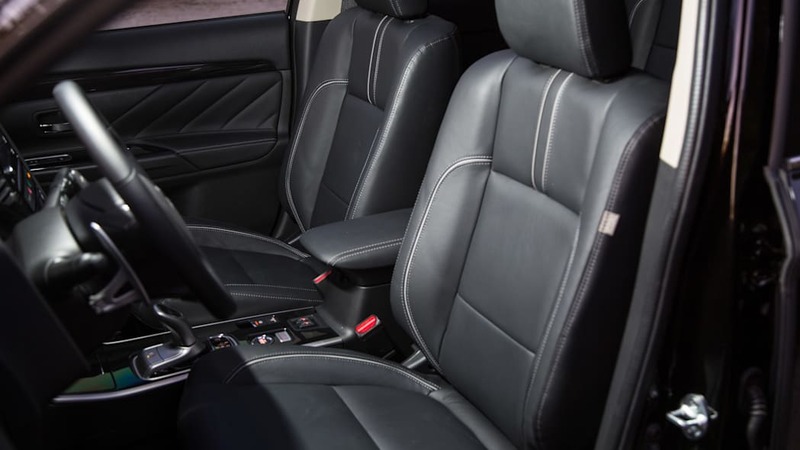 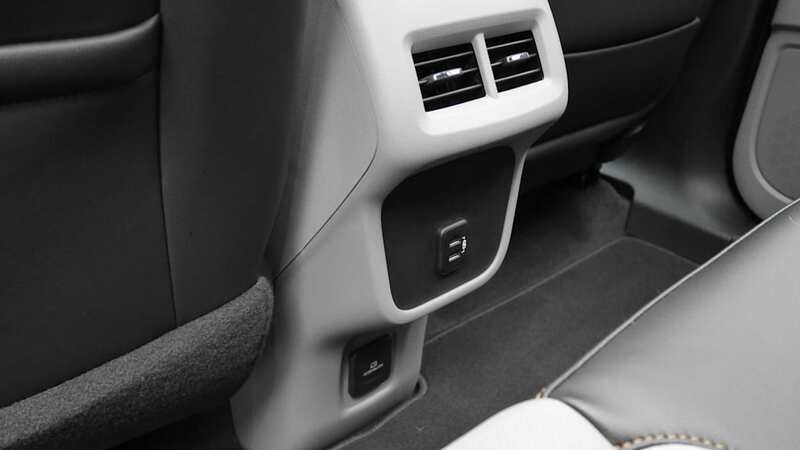 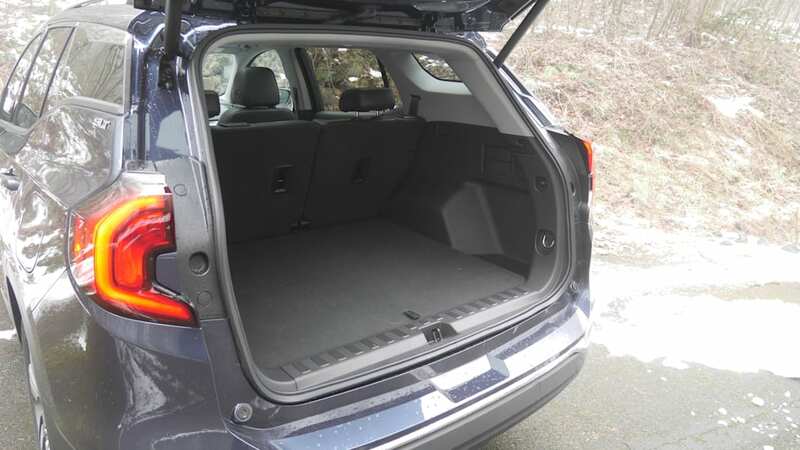 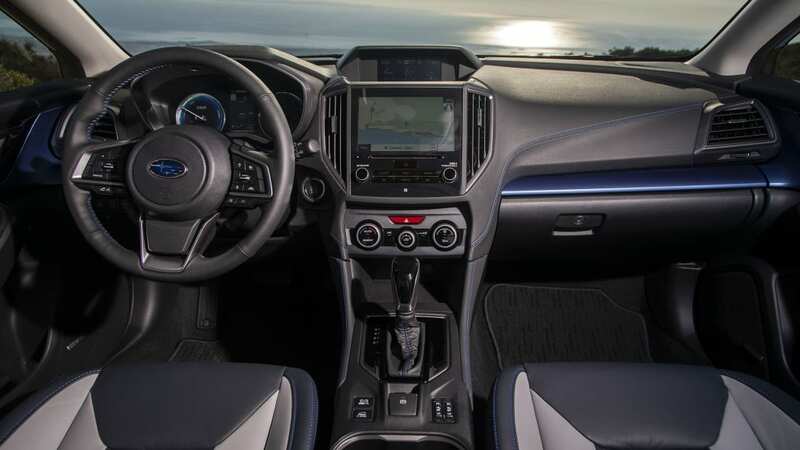 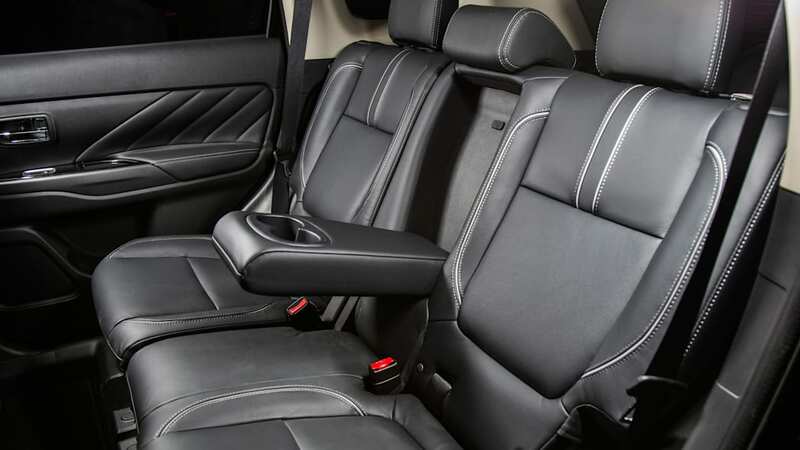 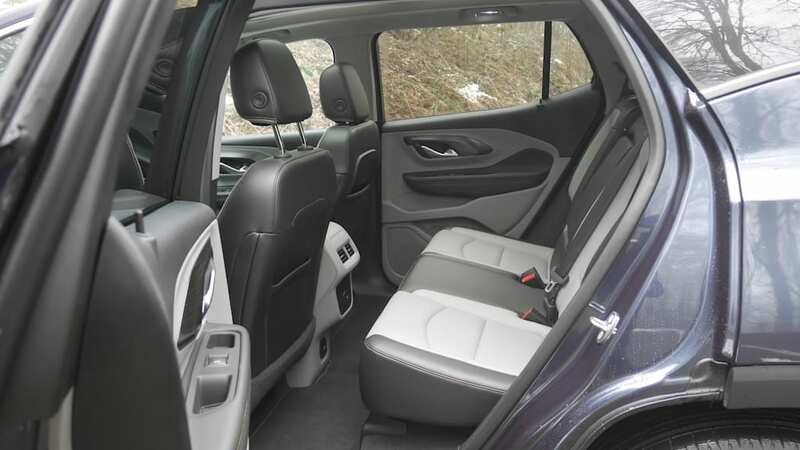 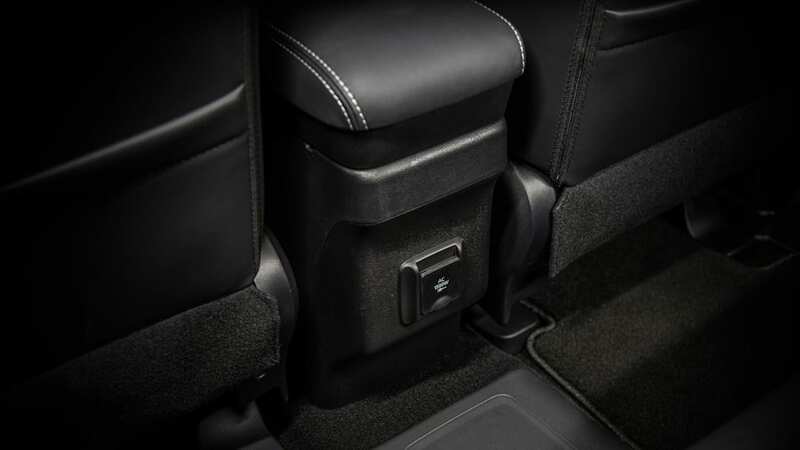 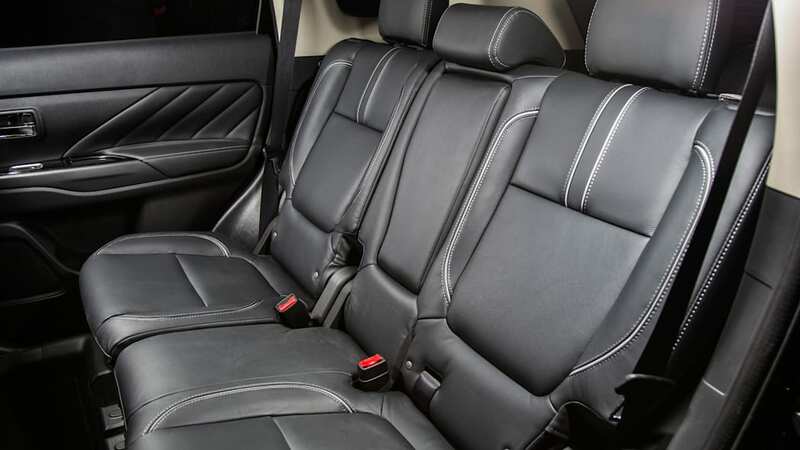 The Ford Escape, with the second longest wheelbase of the group, also delivers the second best rear legroom and cargo space behind the rear seats. 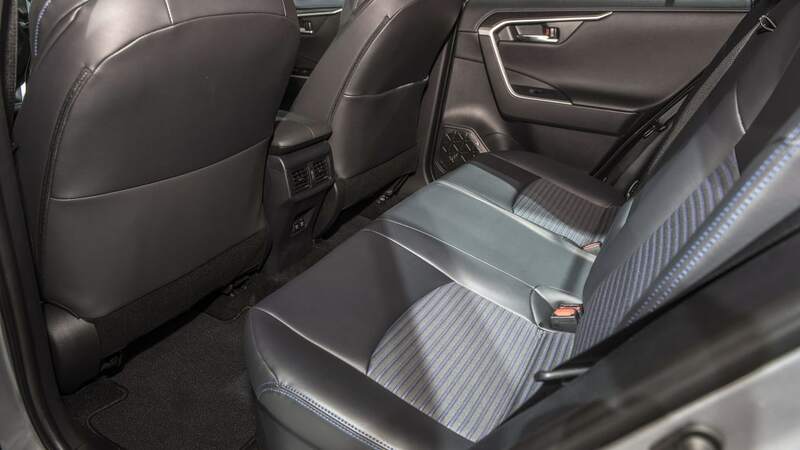 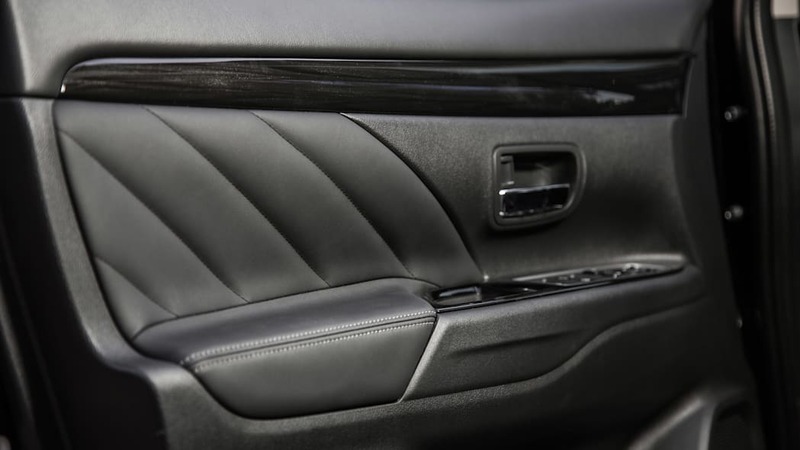 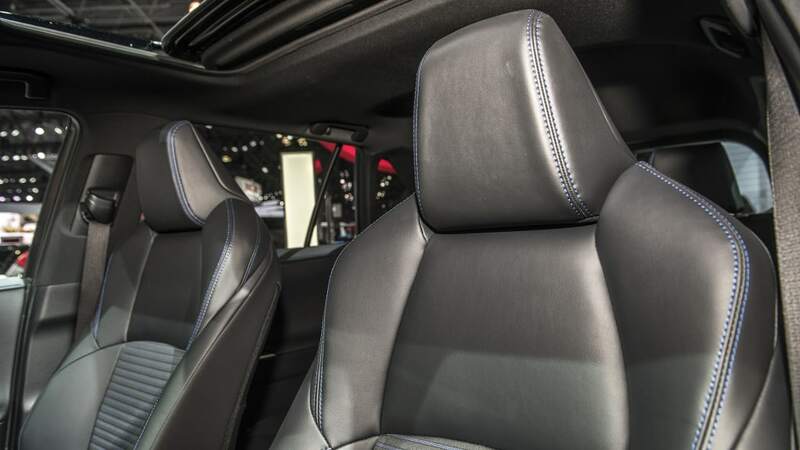 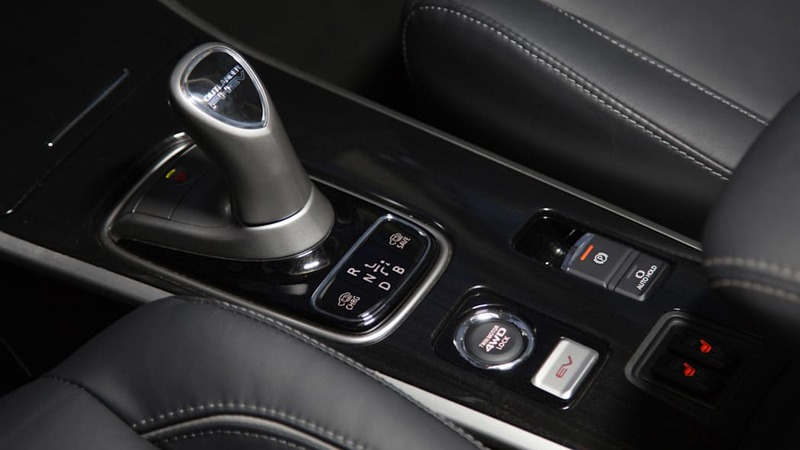 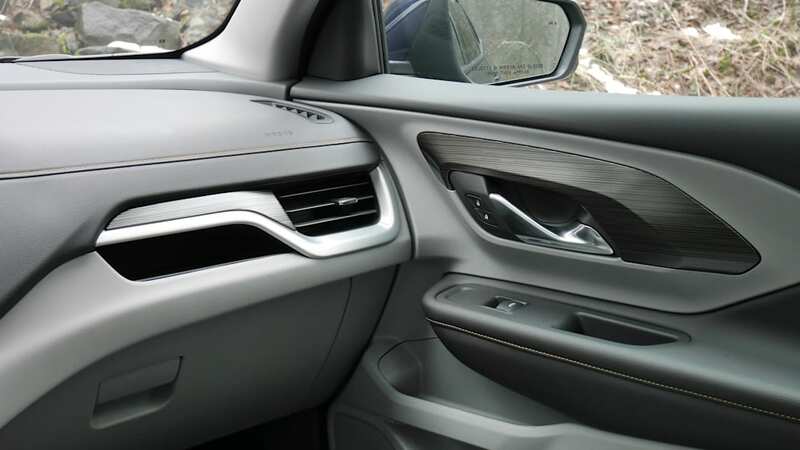 It cedes the legroom crown to the GM twins, which also have the longest wheelbase. 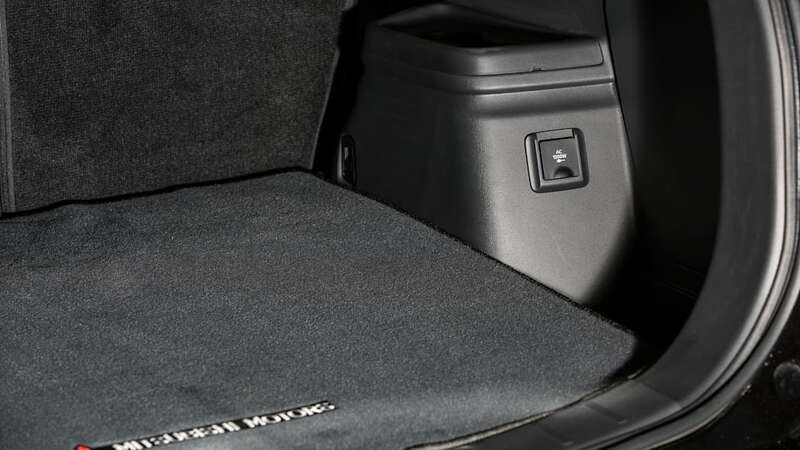 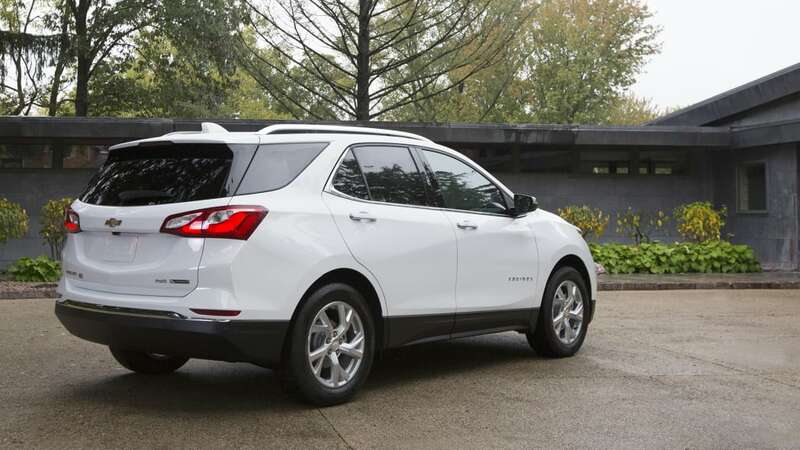 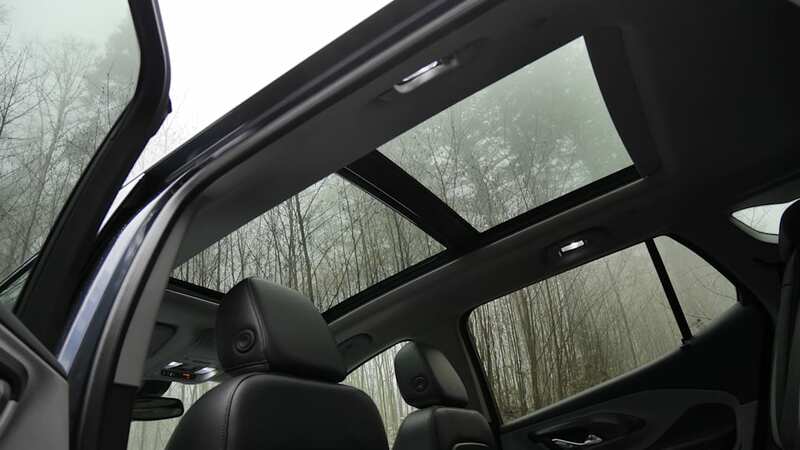 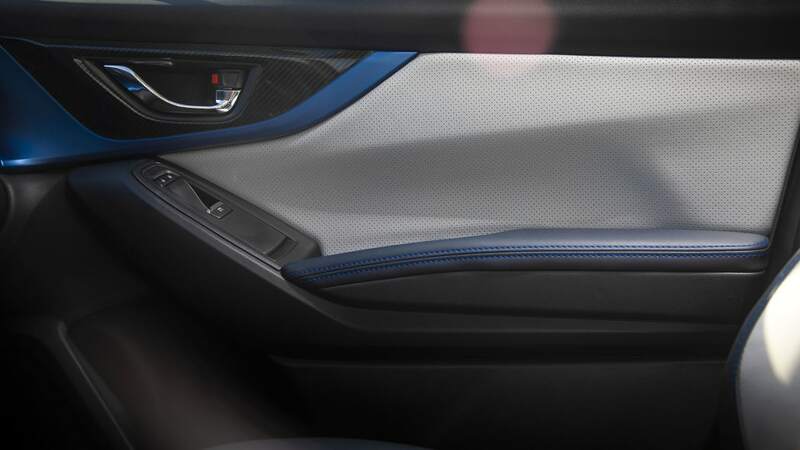 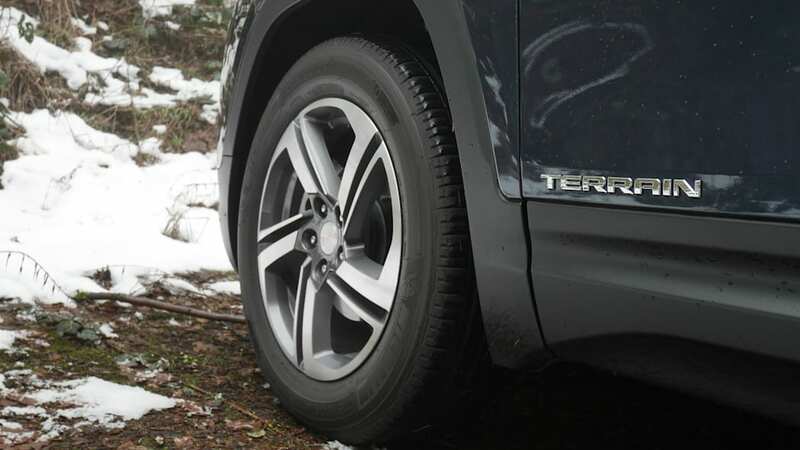 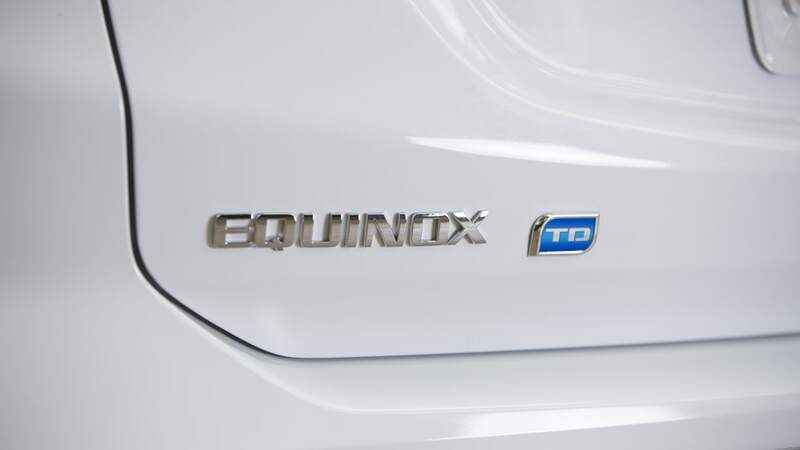 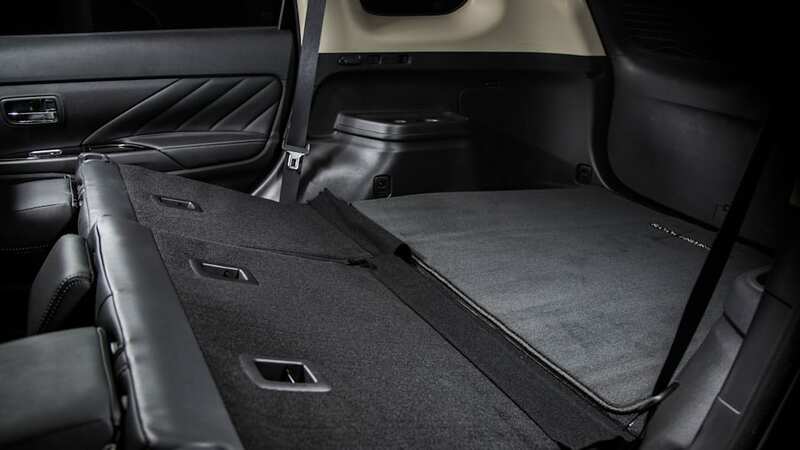 The Equinox and Terrain also boast the second-best maximum cargo space. 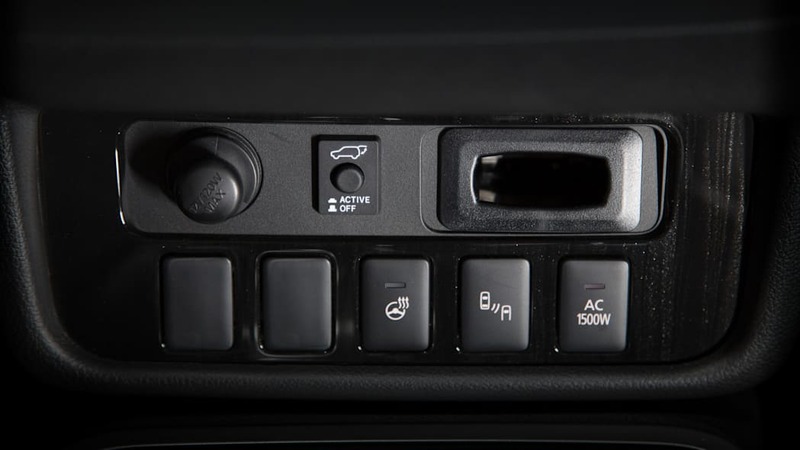 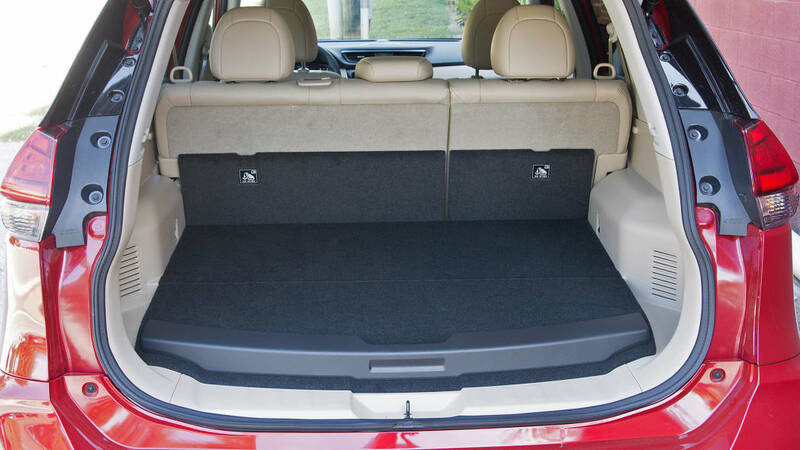 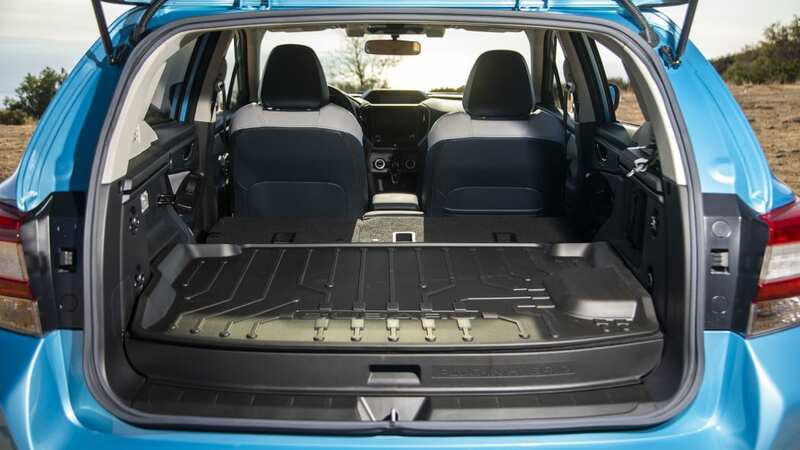 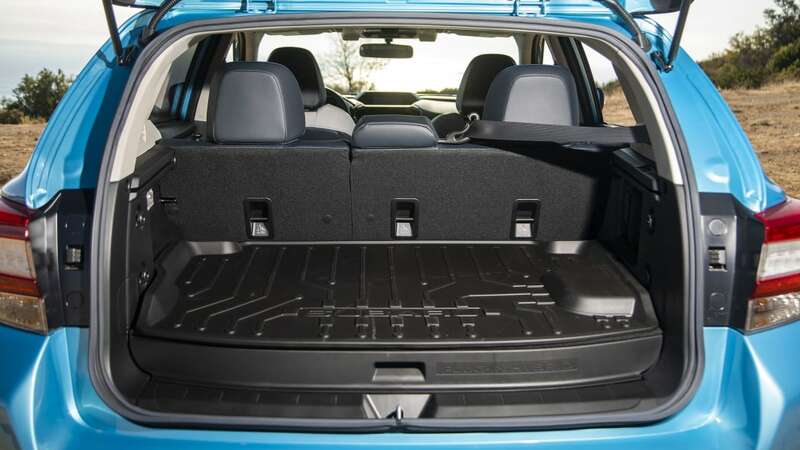 But for the most cargo room, you have to go with the literal heavyweight, the Outlander PHEV. 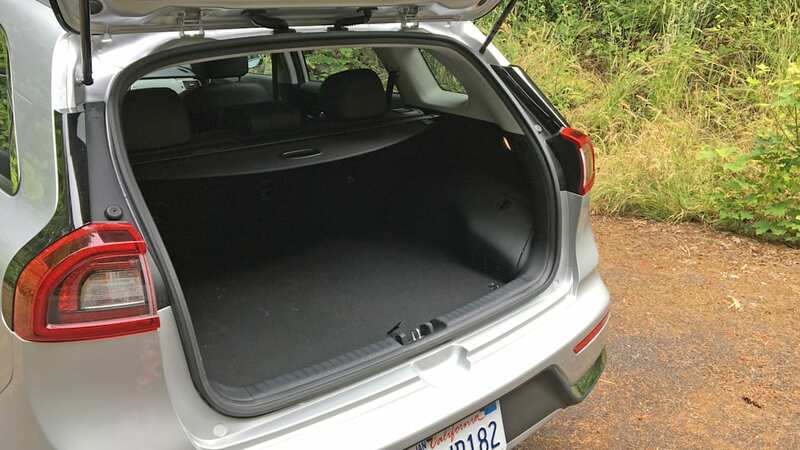 It's the longest of these vehicles and that has translated to an extra 3.3 cubic feet of cargo space. 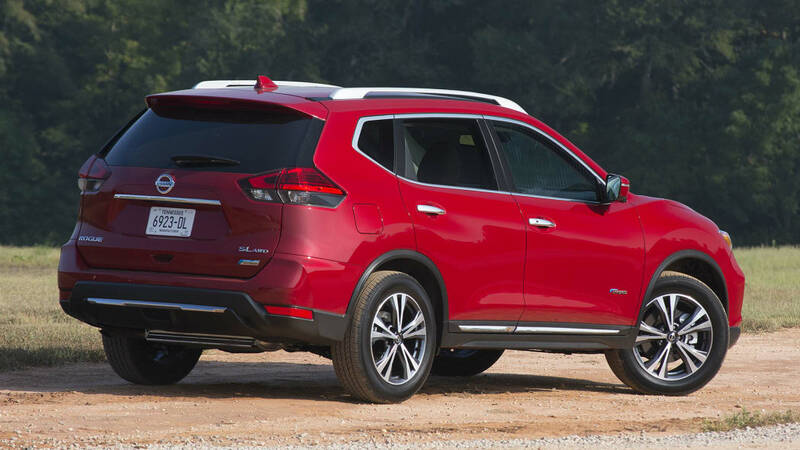 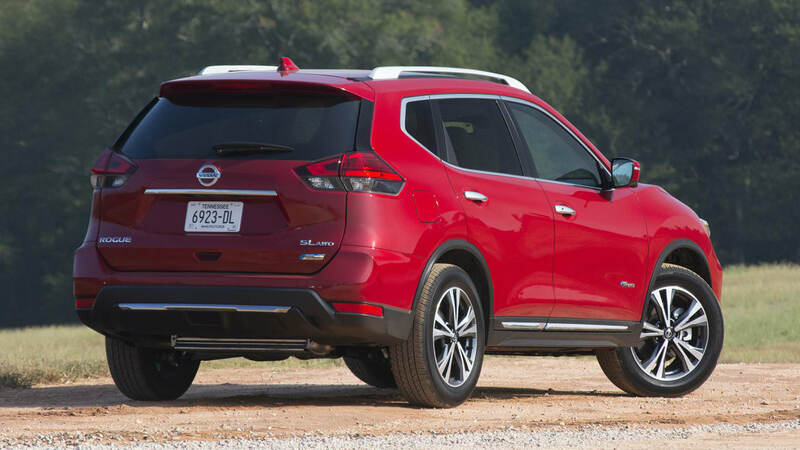 It also is a whopping 4,178 pounds, which is about 400 pounds more than the next heaviest crossover. 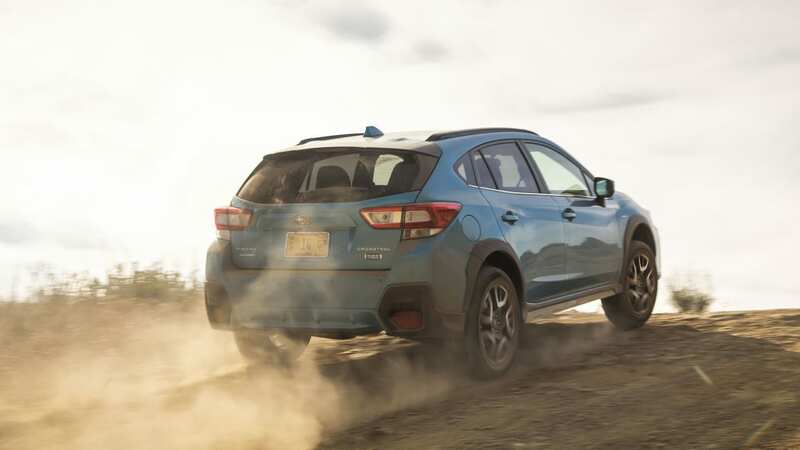 The two smallest entrants are the Crosstrek and the Niro. 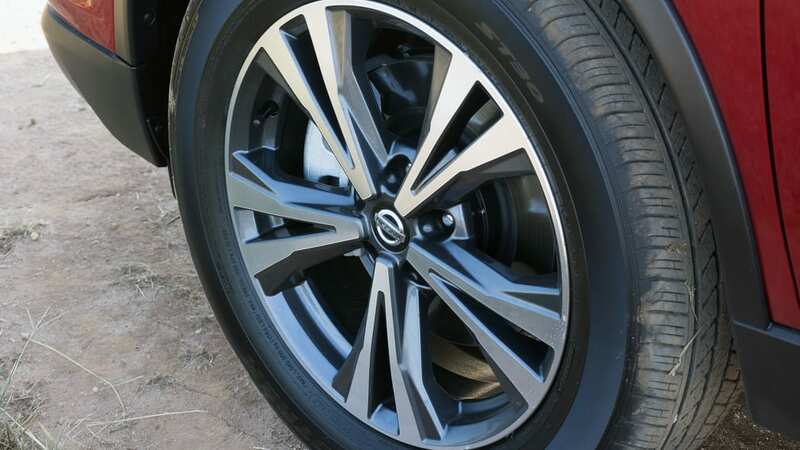 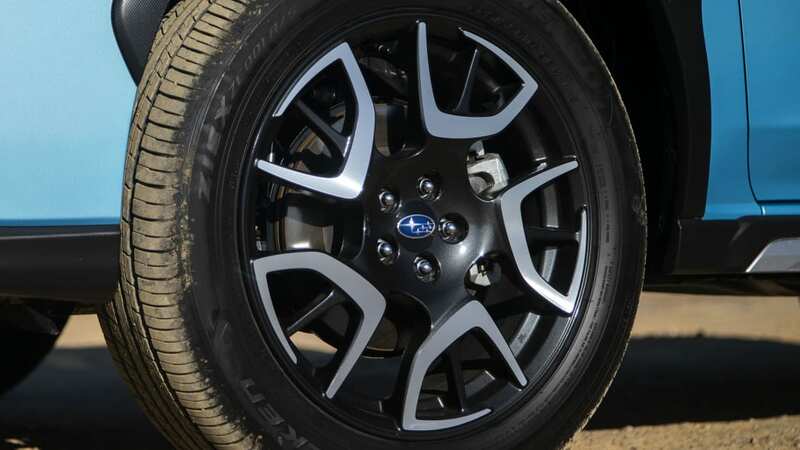 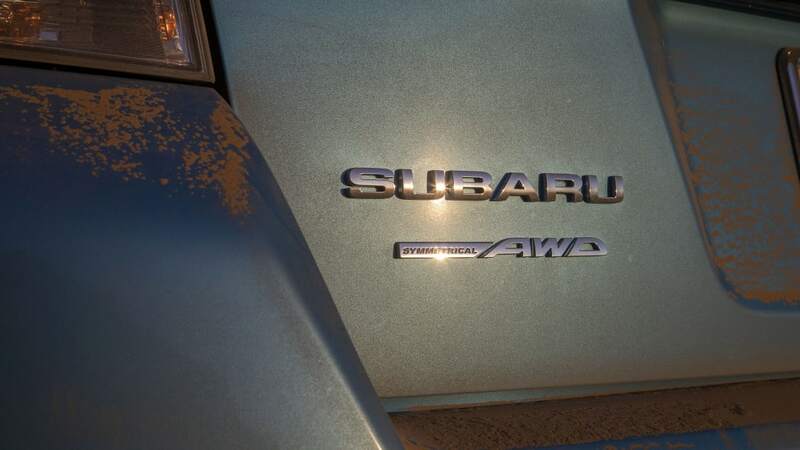 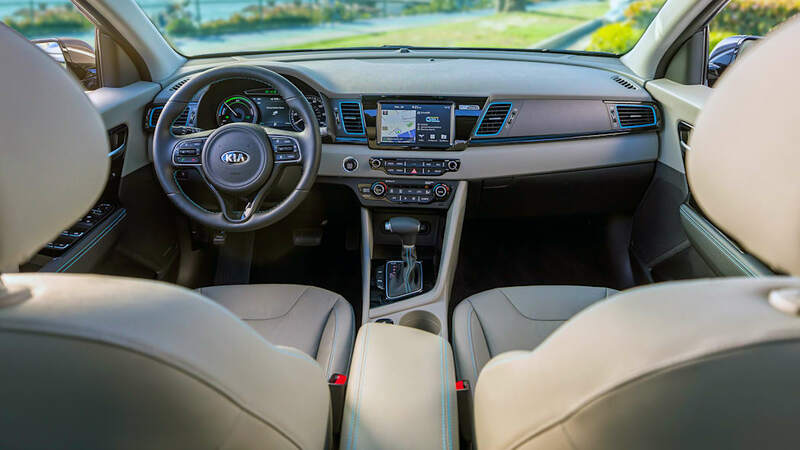 The Subaru has the shortest wheelbase, and it's the narrowest, while the Kia is the shortest overall and the lowest. 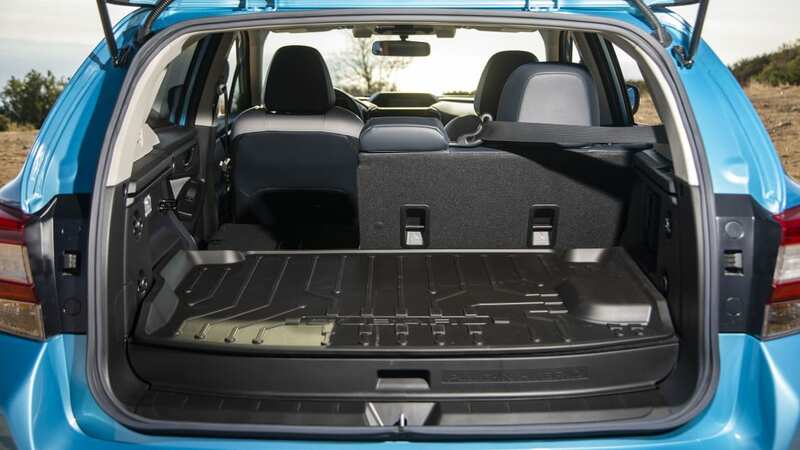 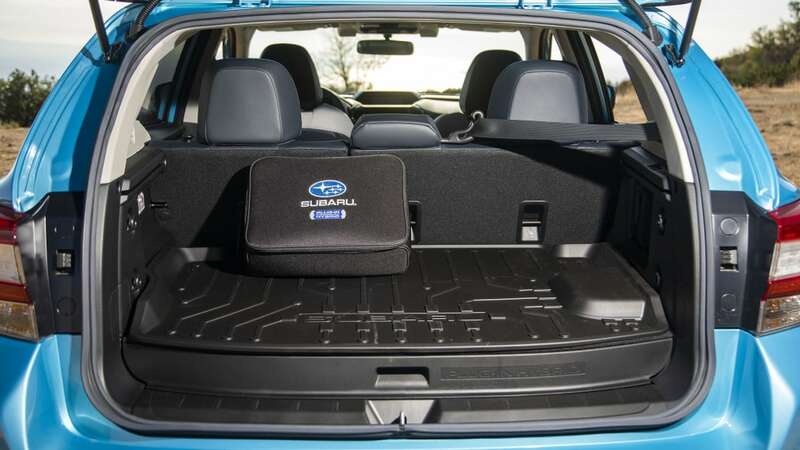 The Subaru also has the least amount of rear legroom and cargo space, followed by the Kia. 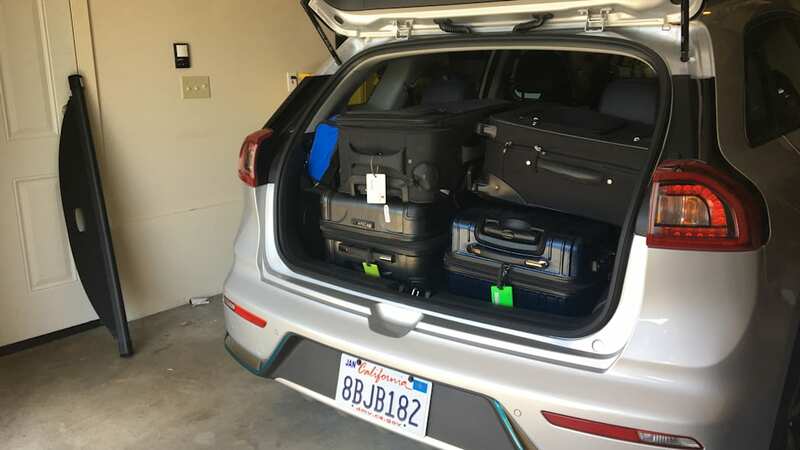 Once again, the Escape's numbers, er, escape us. 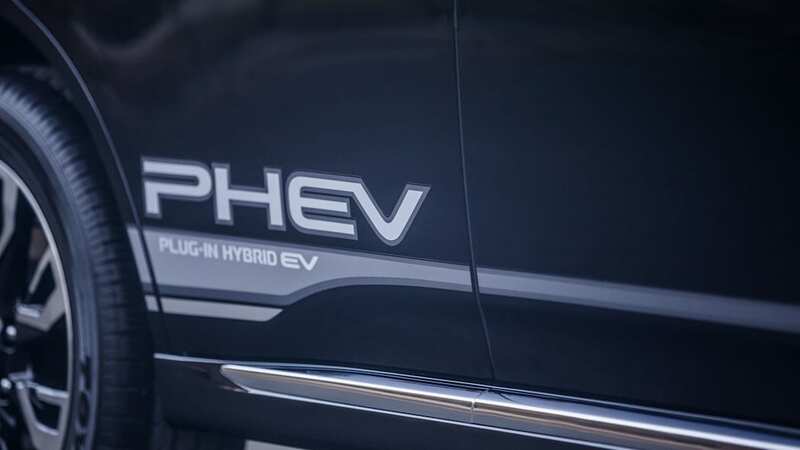 Keep an eye out for its prices closer to the regular hybrid's launch this fall, and the PHEV's launch next spring. 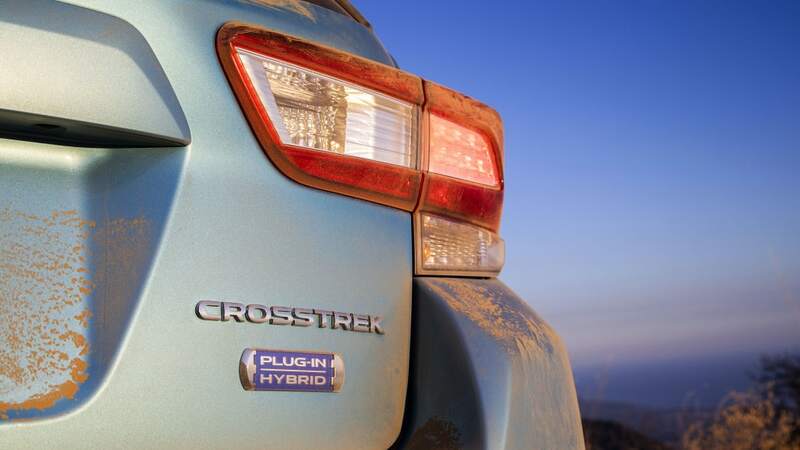 As for the rest of these crossovers, pricing can be a bit complicated since the plug-in hybrid models qualify for federal tax credits. 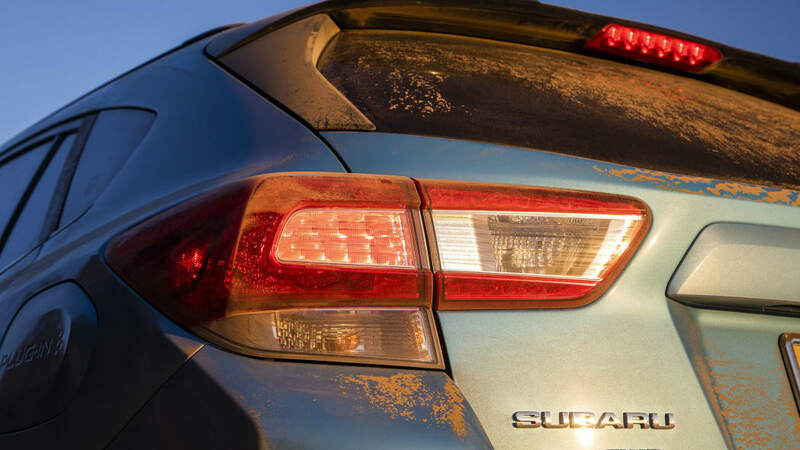 So we'll list the cars from lowest to highest base price before incentives, and then get into those details after the list. 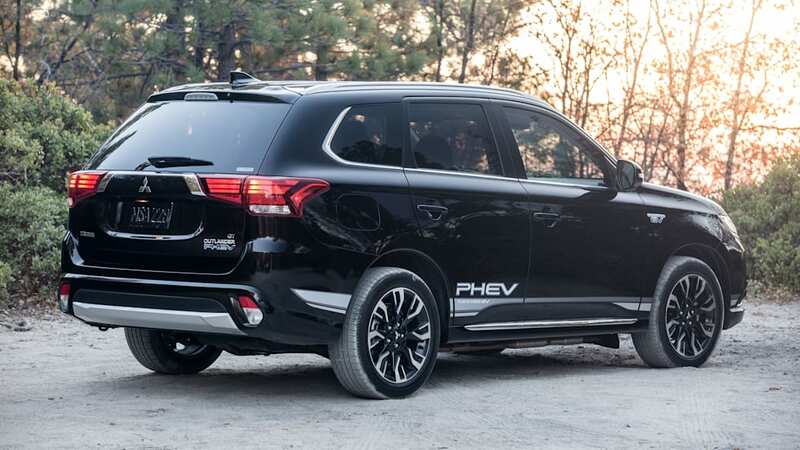 The PHEVs on this list obviously present a big price premium over the other vehicles, but that's offset by the long-term fuel savings associated with plugging in and federal tax credits. 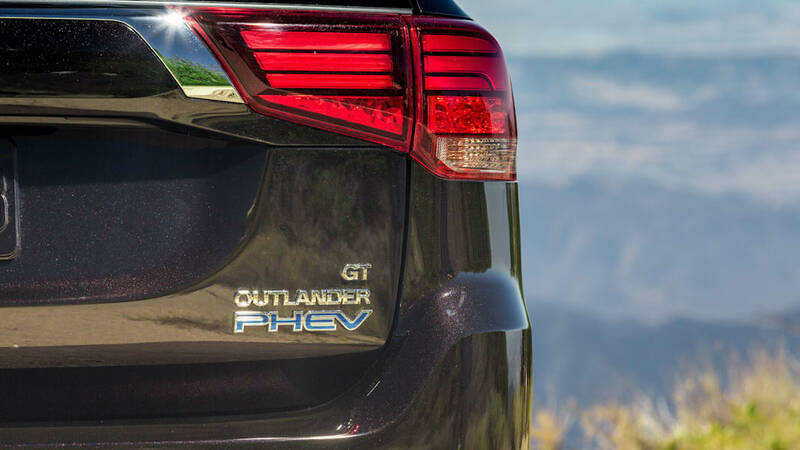 According to the EPA's FuelEconomy.gov website, each PHEV has a slightly different credit based on battery capacity. 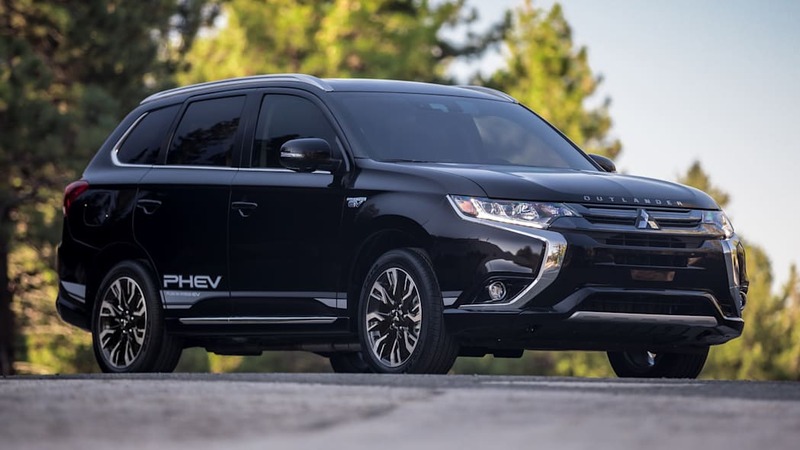 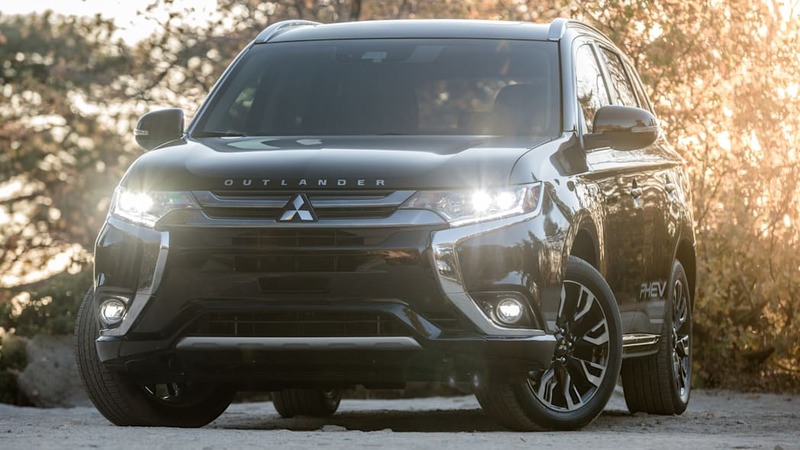 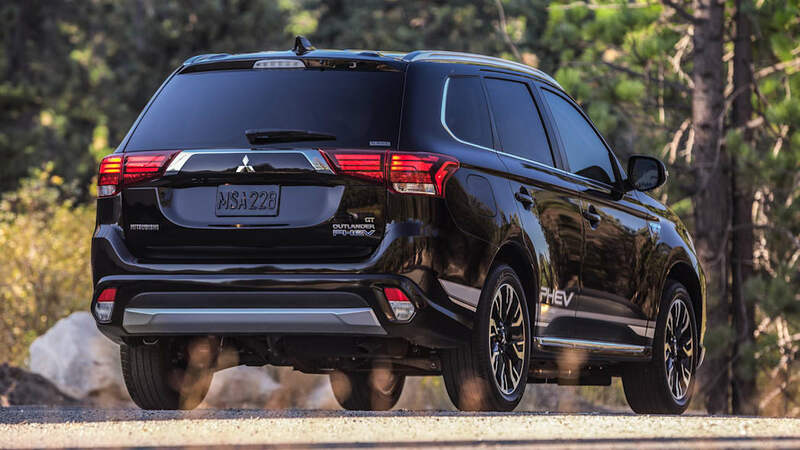 But for consumers, all you need to know is that the Outlander PHEV gets a $5,836 credit, the largest of the group, followed by the Niro PHEV with a $4,543 credit and the Crosstrek PHEV with a $4,502 credit. 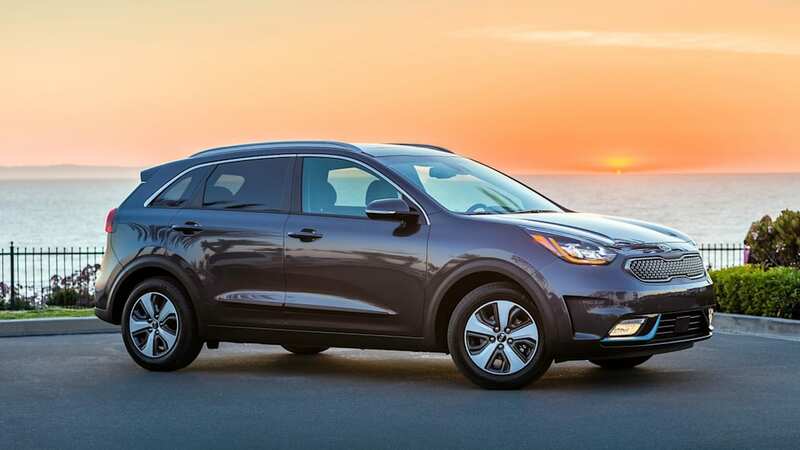 More importantly, that means the effective price of a Niro PHEV drops down to $24,952, only about $500 more than the normal version. 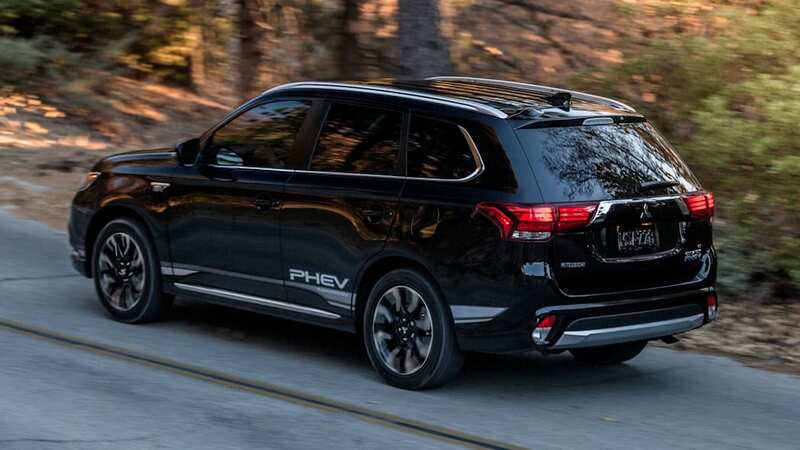 The Outlander PHEV and Crosstrek PHEV are still fairly pricey, with both still having effective prices of more than $31,000. 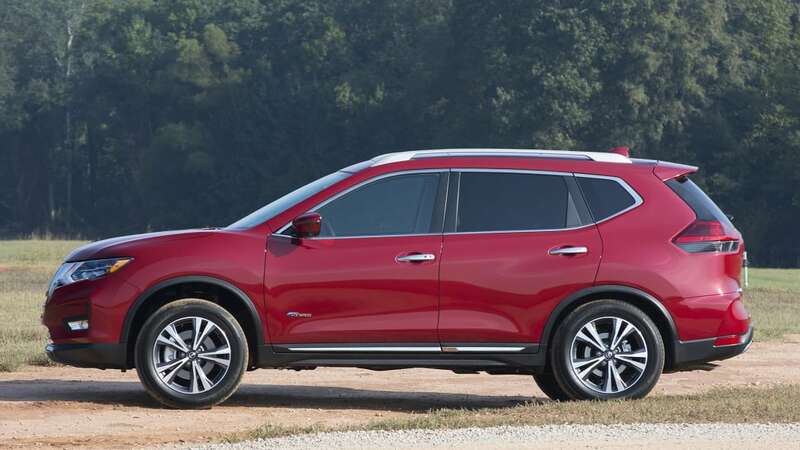 But that's cheaper than the GMC Terrain for something that won't use any fuel for miles at a time. 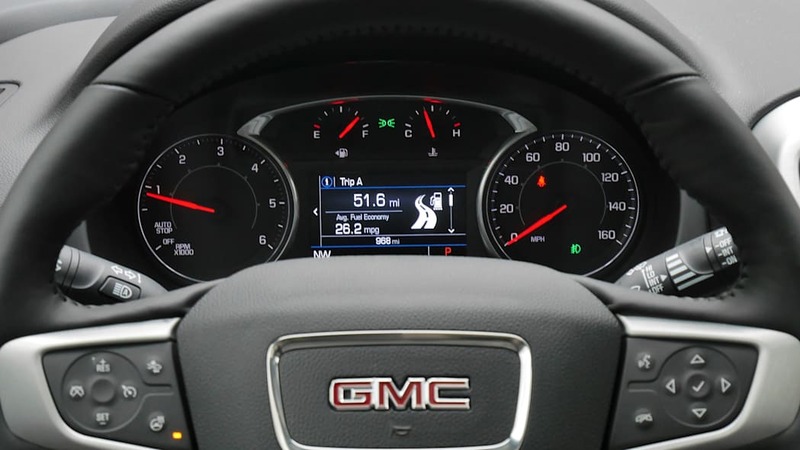 From the numbers, there are a few conclusions we can draw. 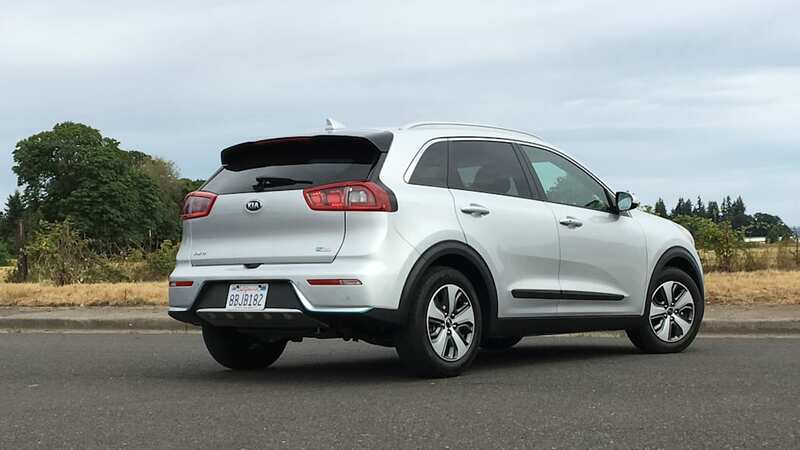 The first of which is that the Kia Niro, in normal hybrid or PHEV form, is unquestionably the pick for people looking to save money and the planet. 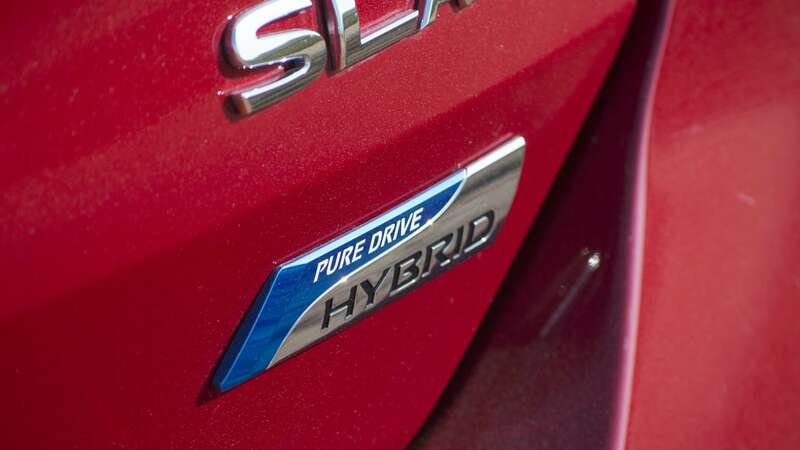 It's the most fuel efficient, and the cheapest. 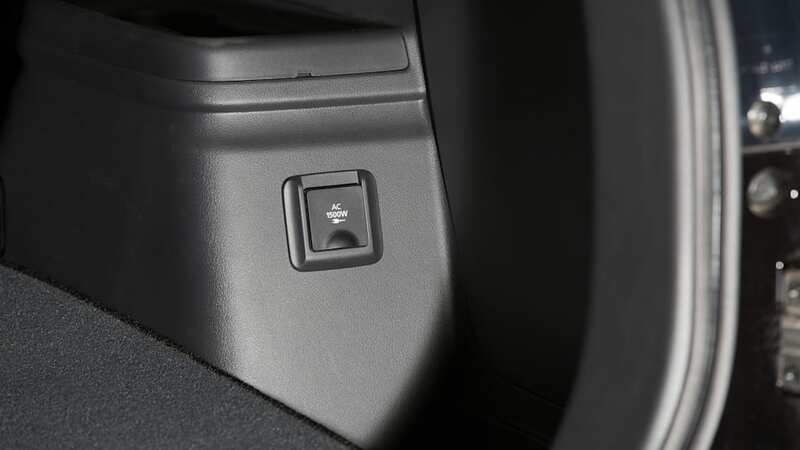 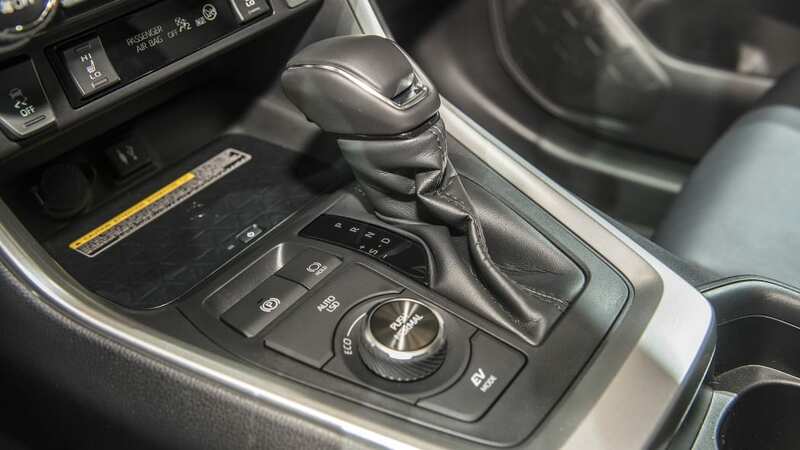 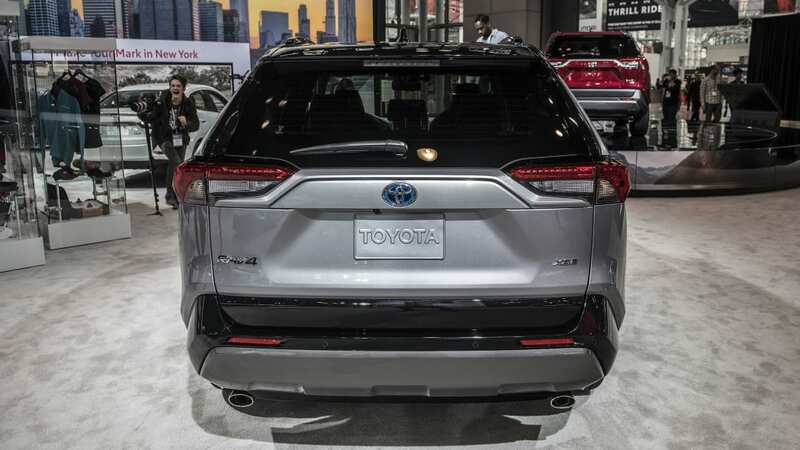 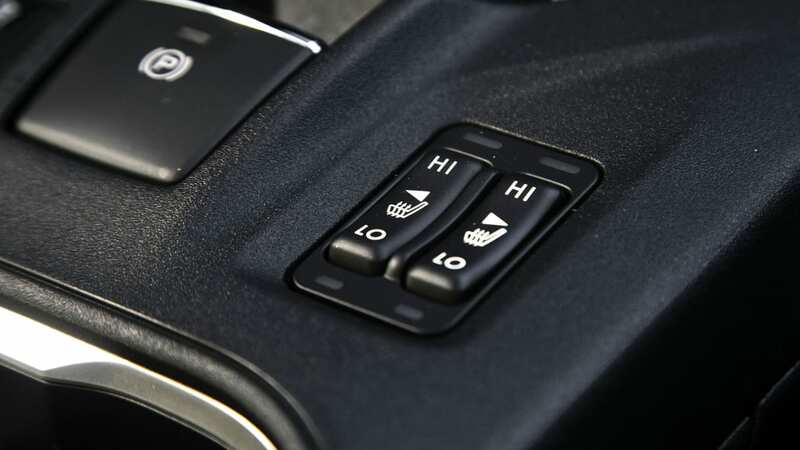 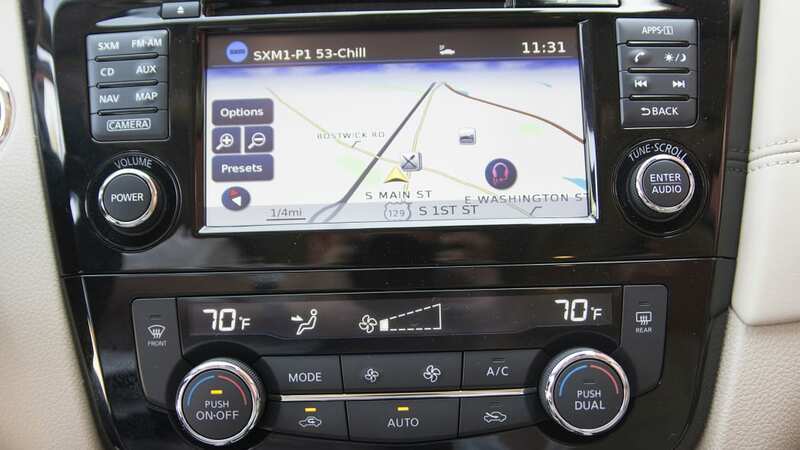 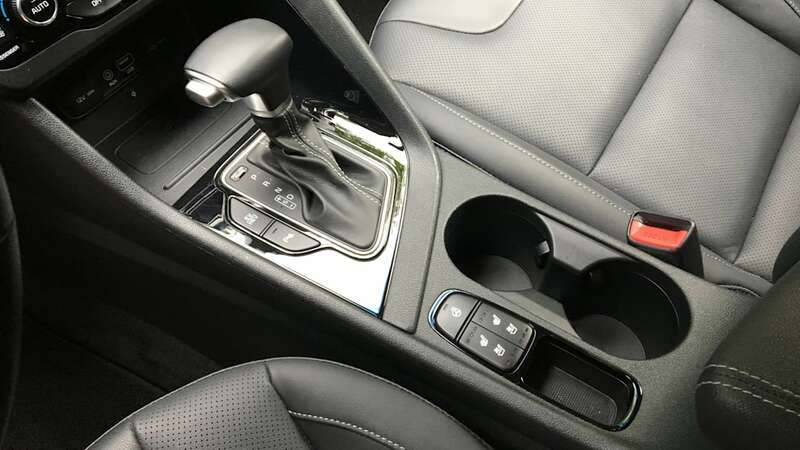 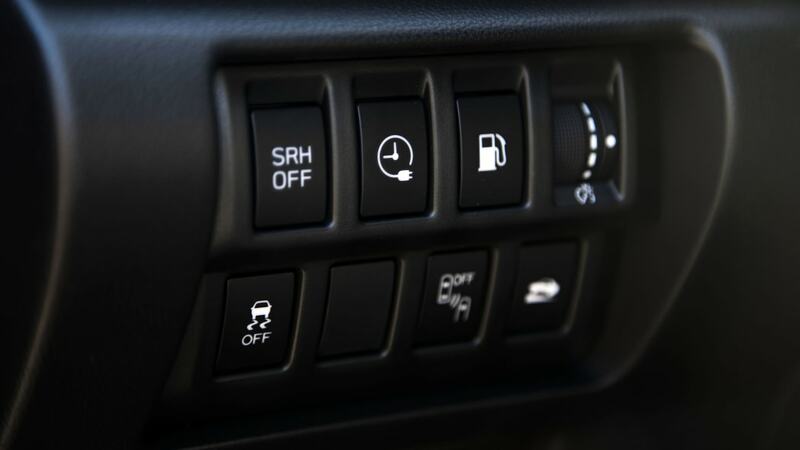 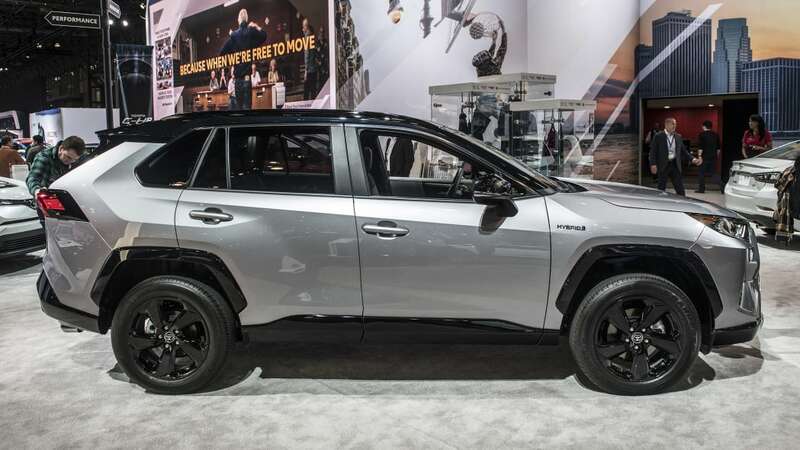 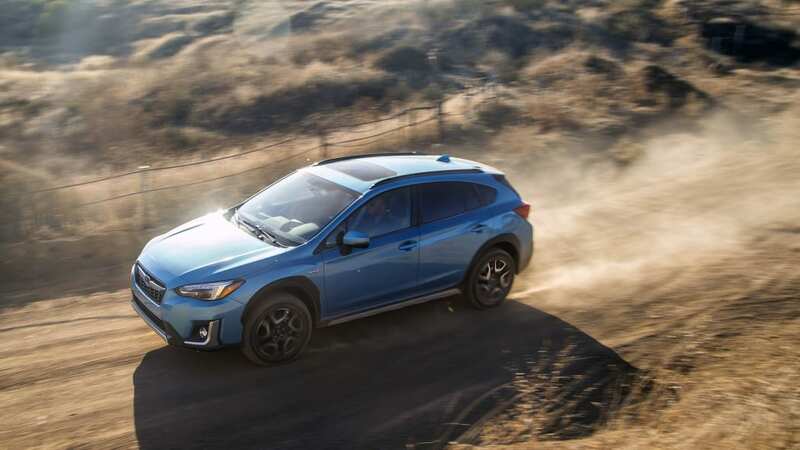 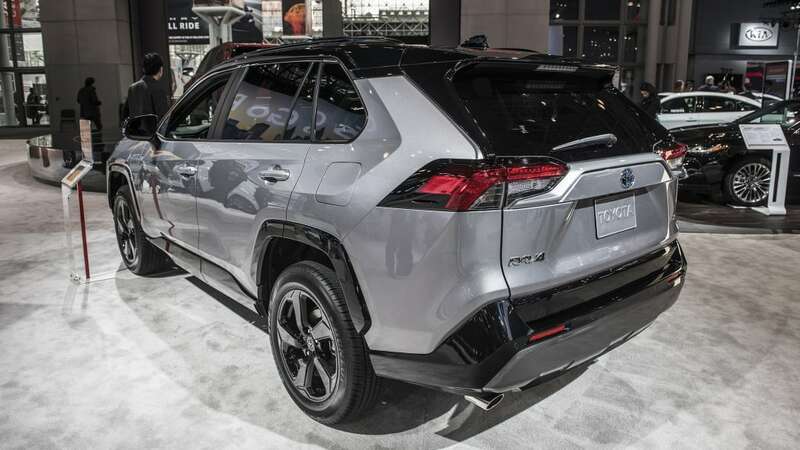 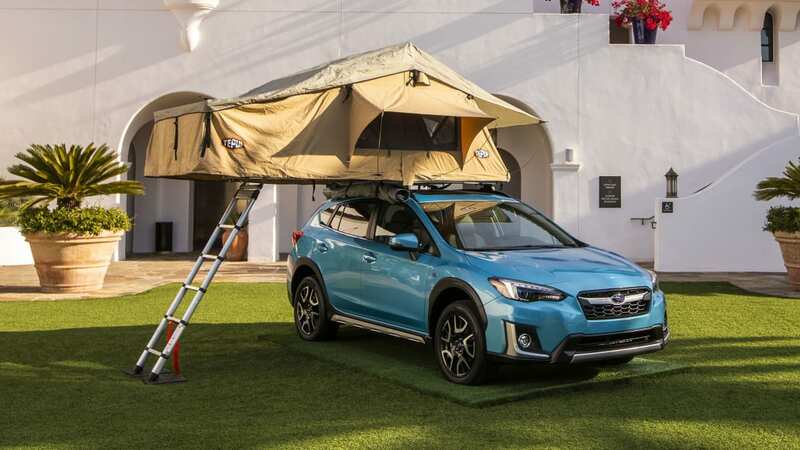 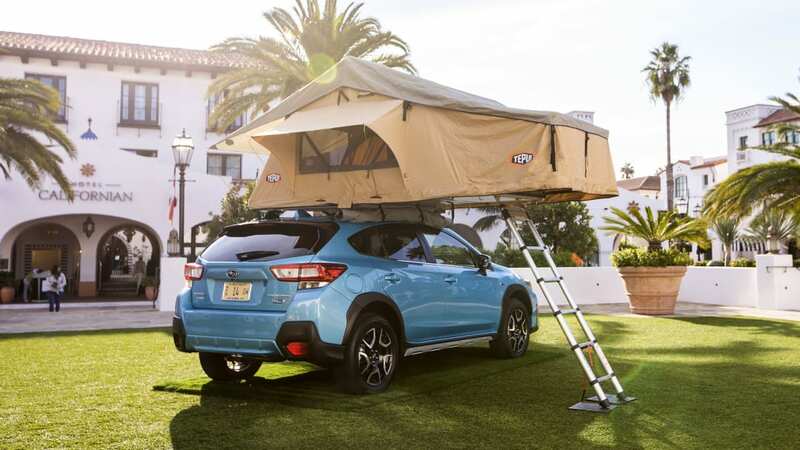 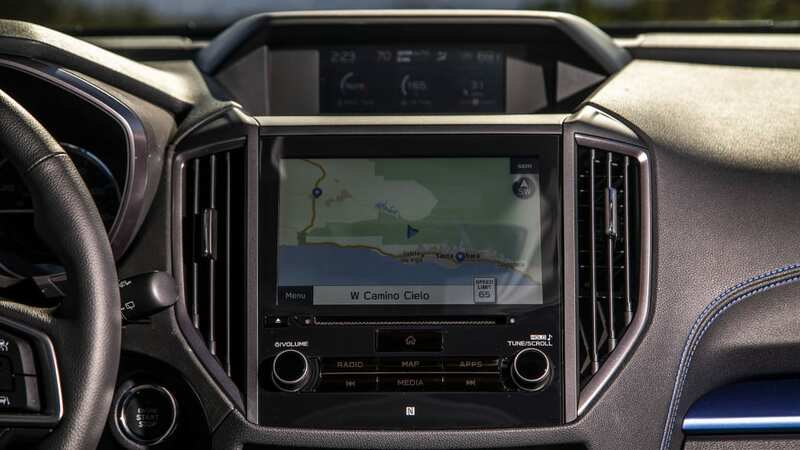 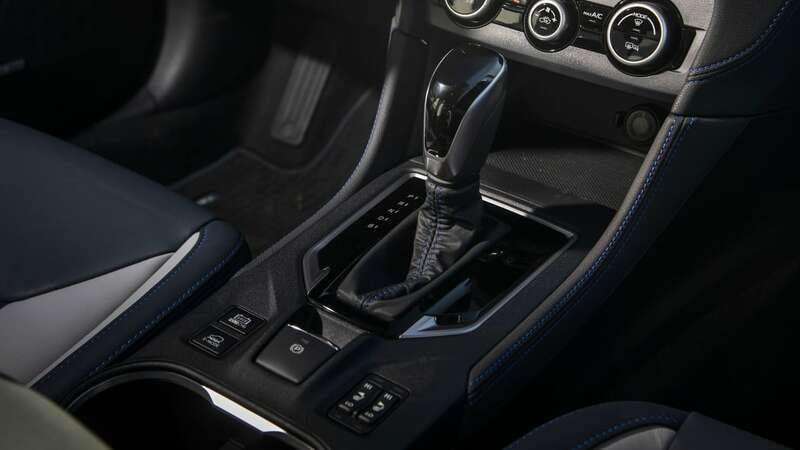 But if you need more space, the Toyota RAV4 Hybrid, Outlander PHEV and Escape hybrids, provided the Escapes have strong fuel economy, are also good options. 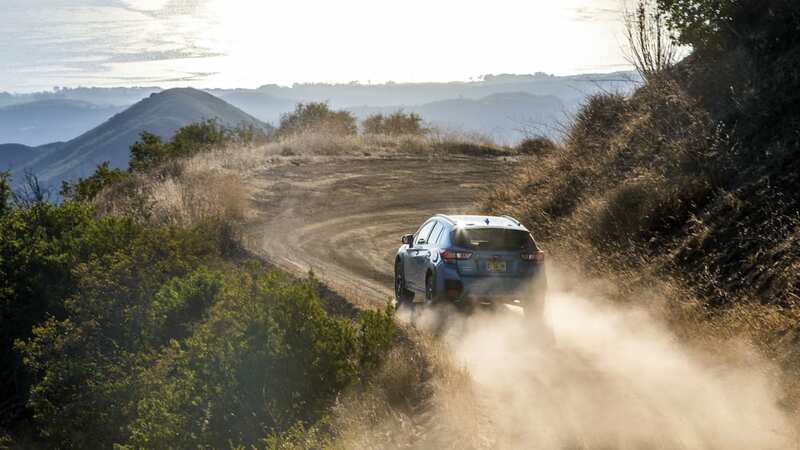 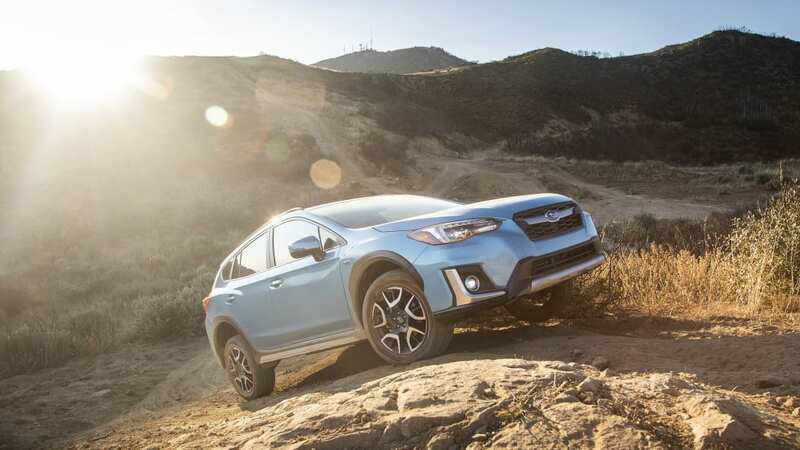 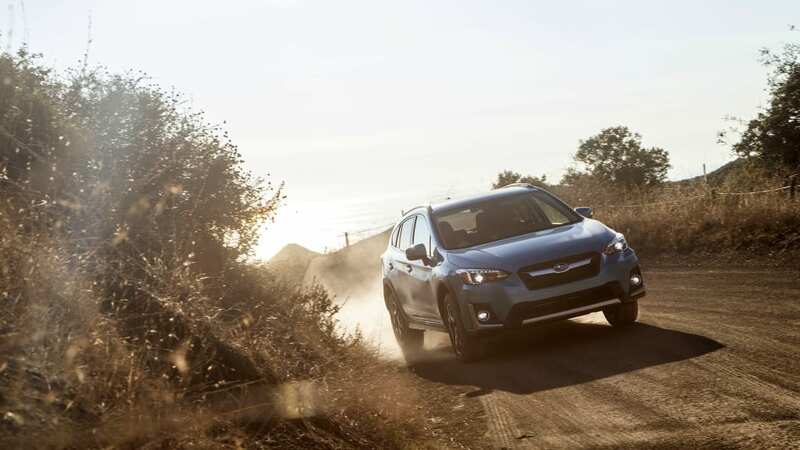 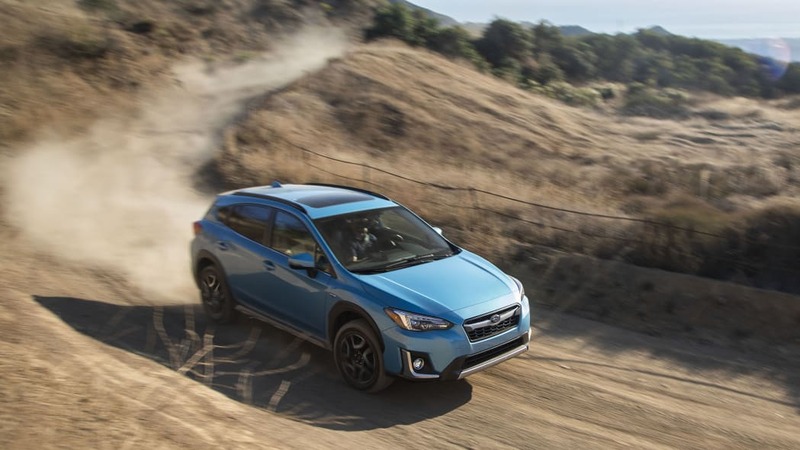 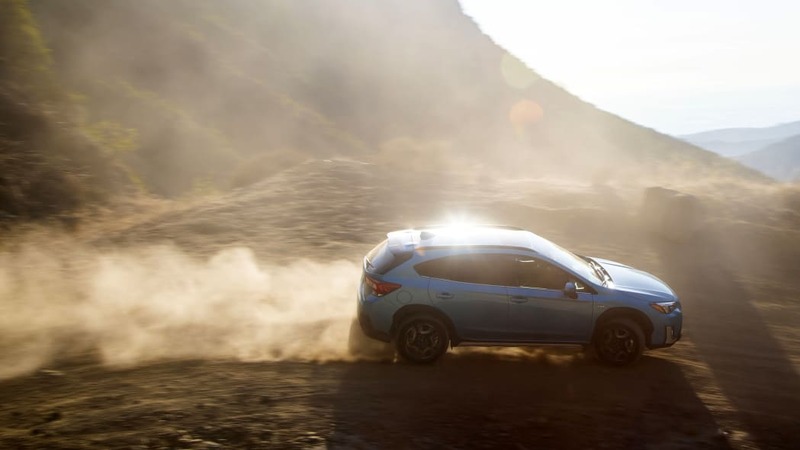 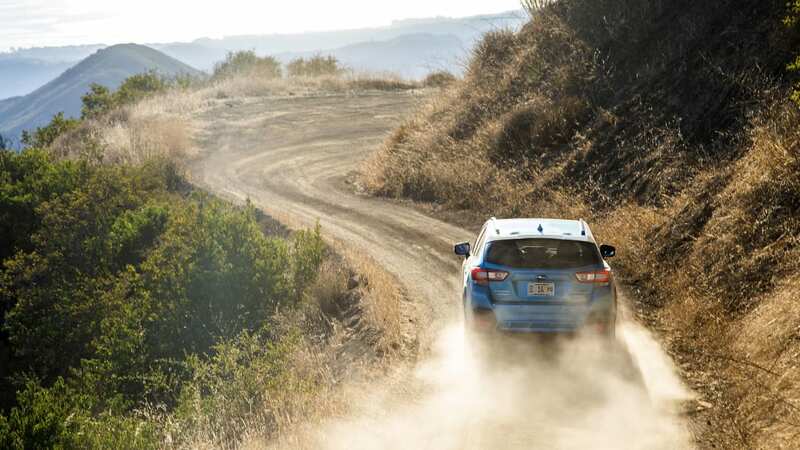 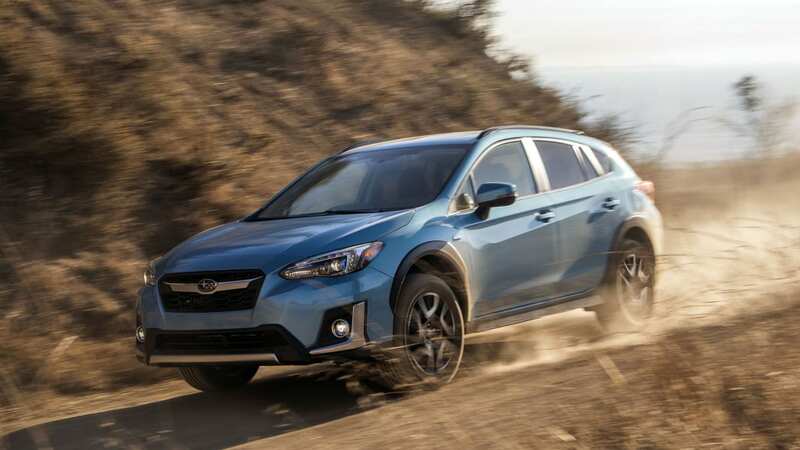 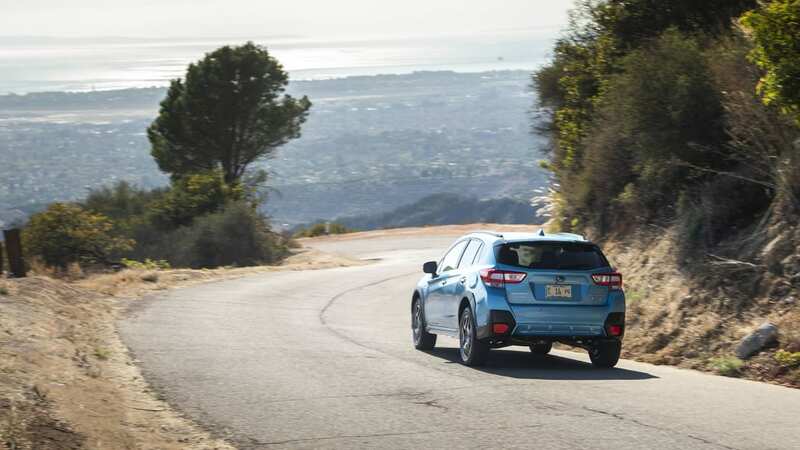 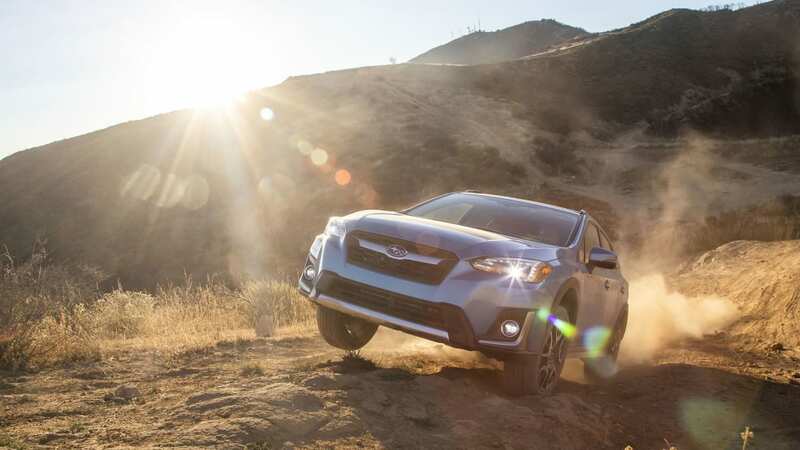 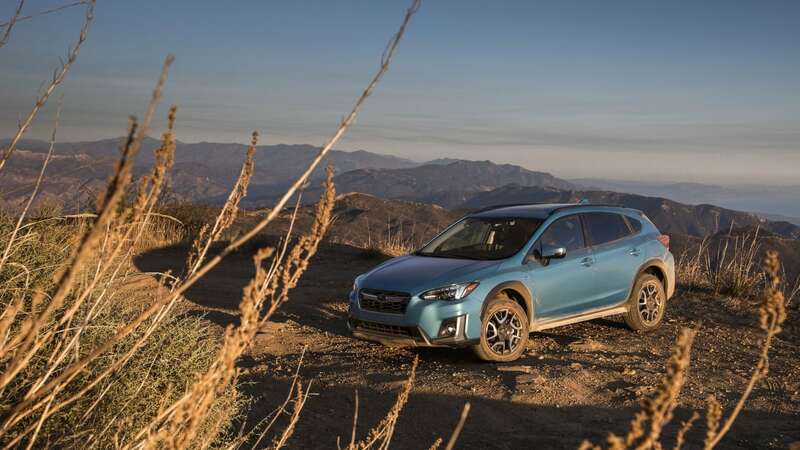 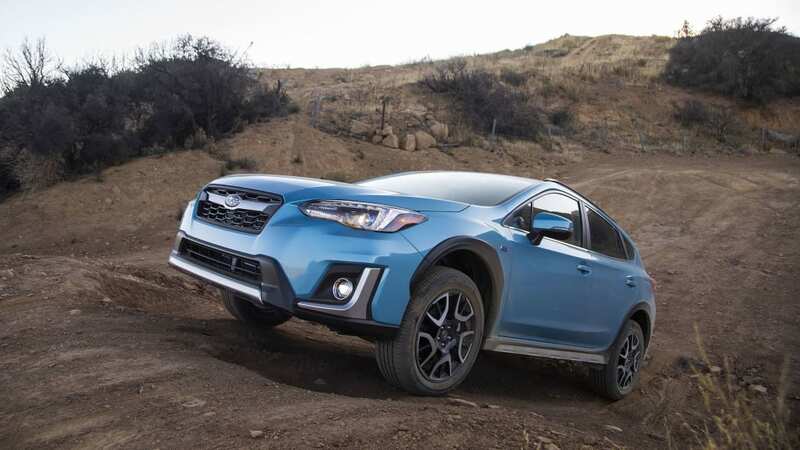 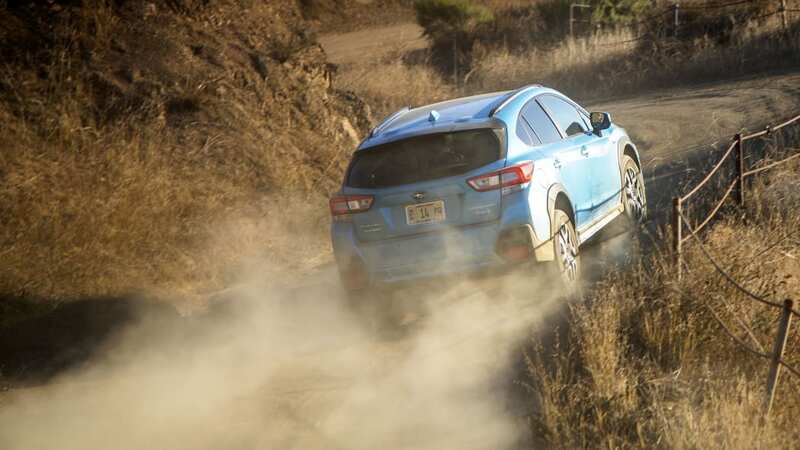 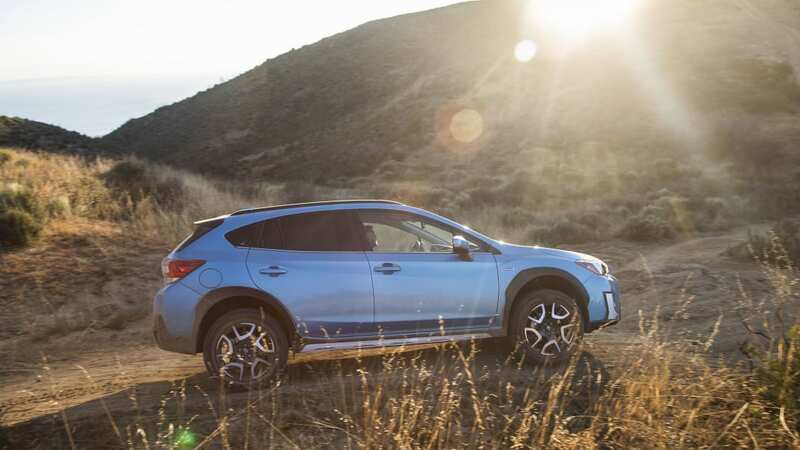 And if you want to do some mild off-roading, consider the Subaru Crosstrek PHEV. 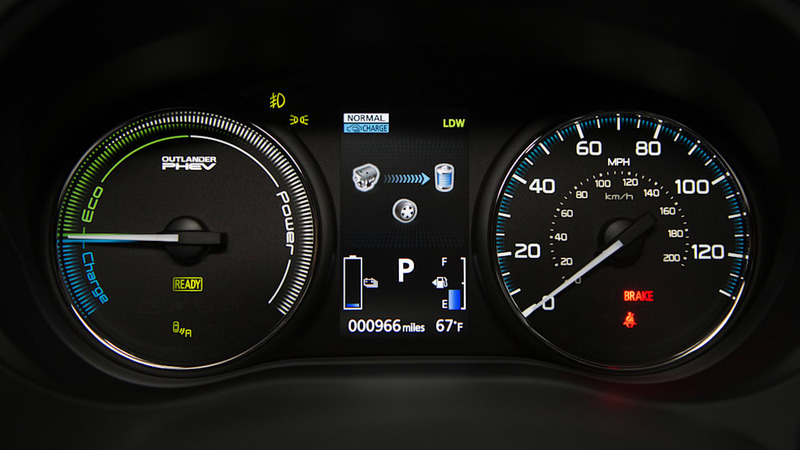 These numbers, as always, only tell one part of the story. 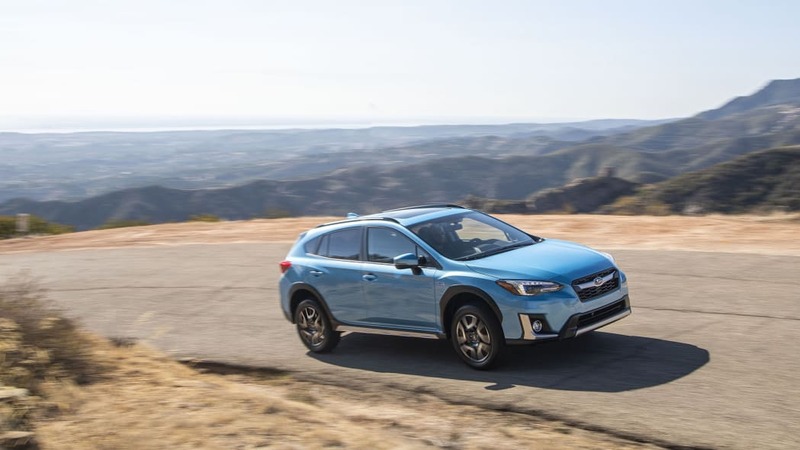 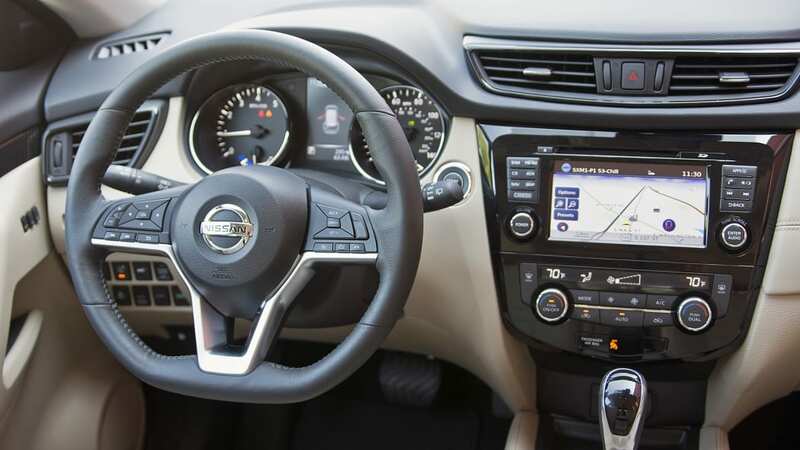 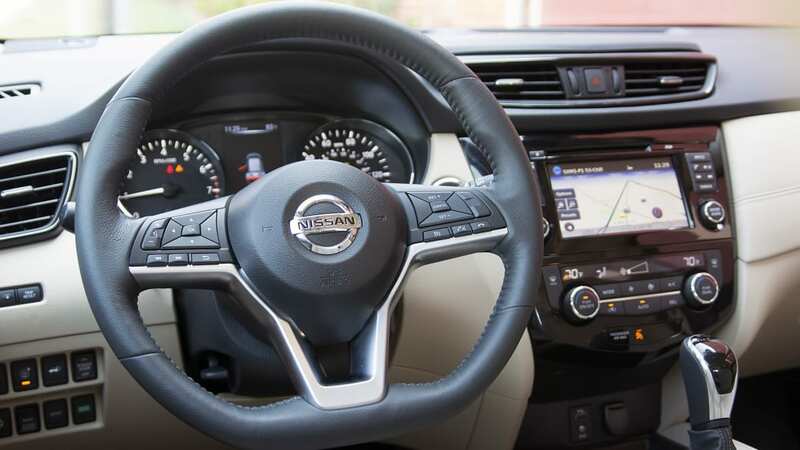 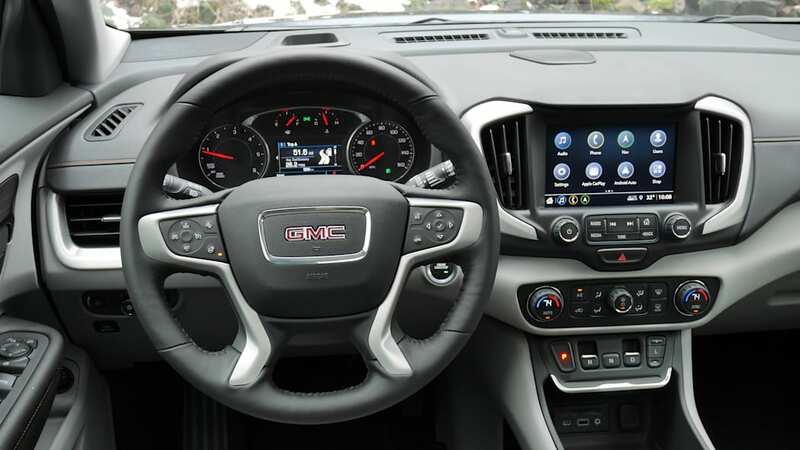 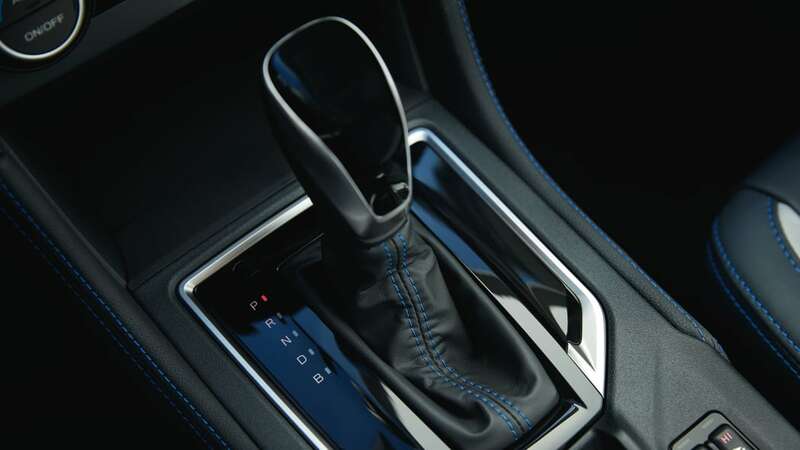 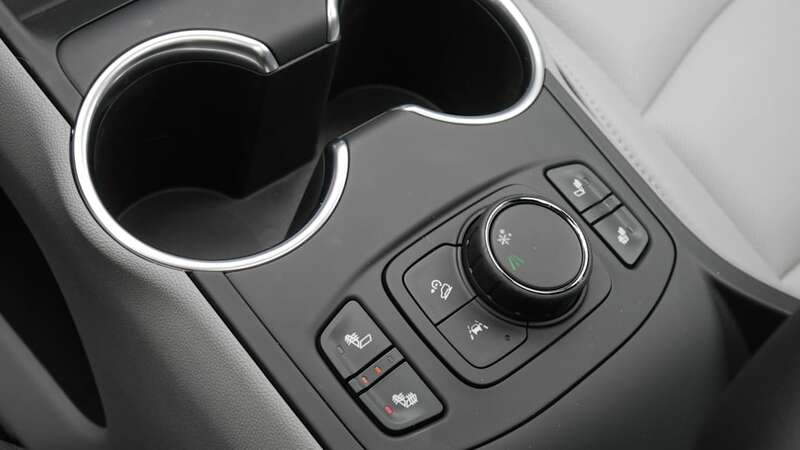 Be sure to check out our in-depth drive reviews of these different vehicles to learn what they're like to drive and live with. 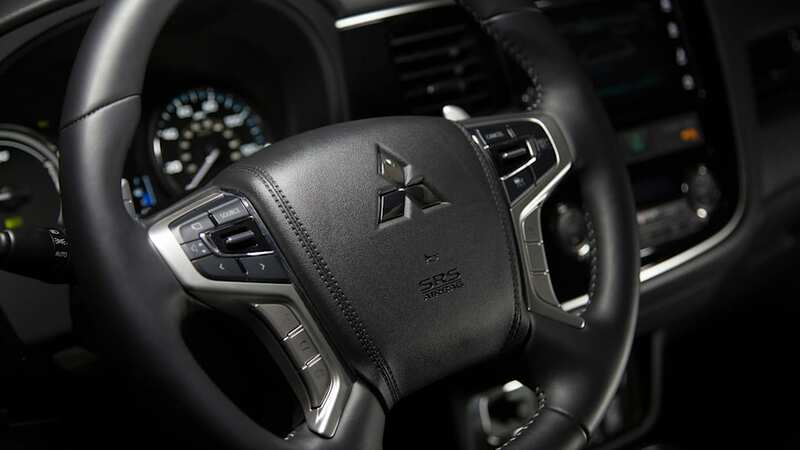 And definitely take one for a test drive if you're getting serious. 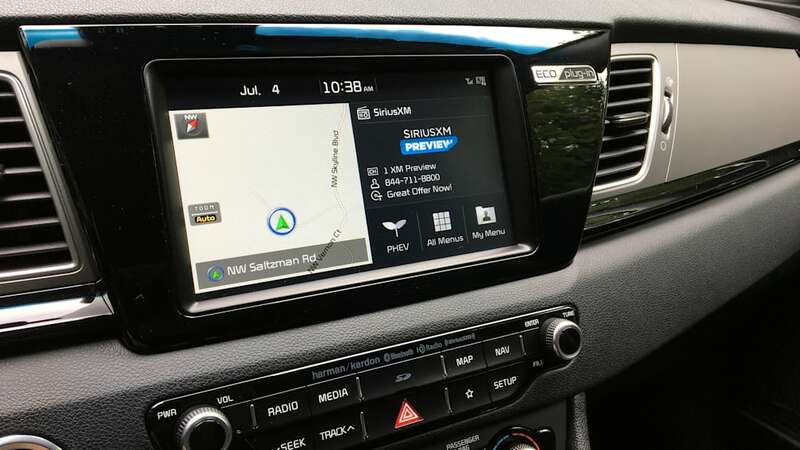 You can find our reviews listed below, with the exception of the Escape that we have yet to drive.